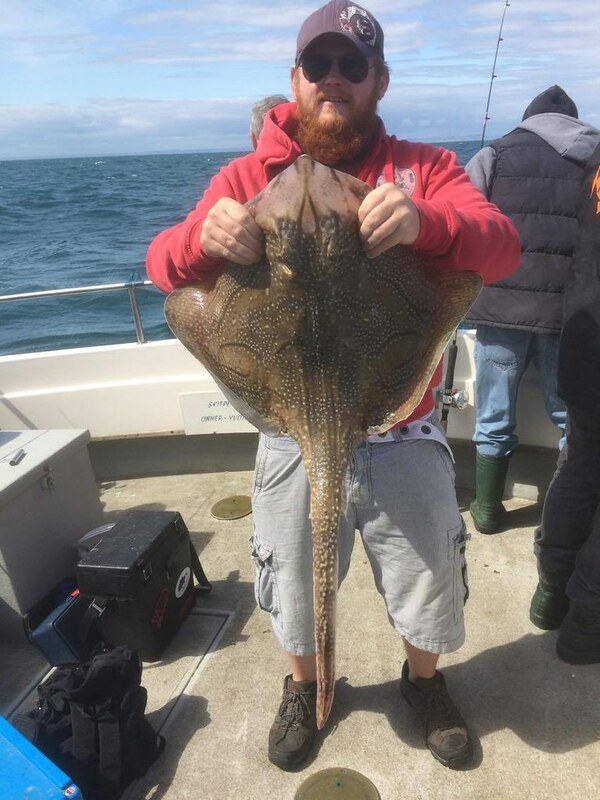 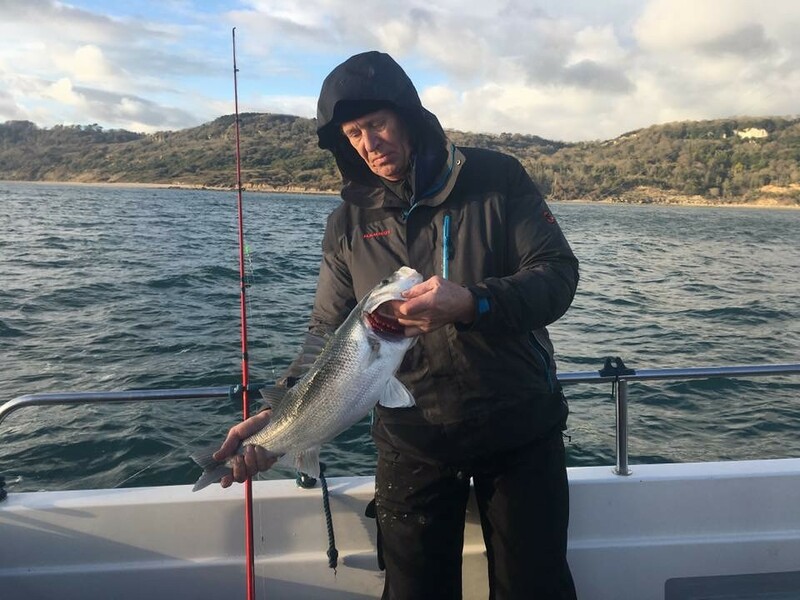 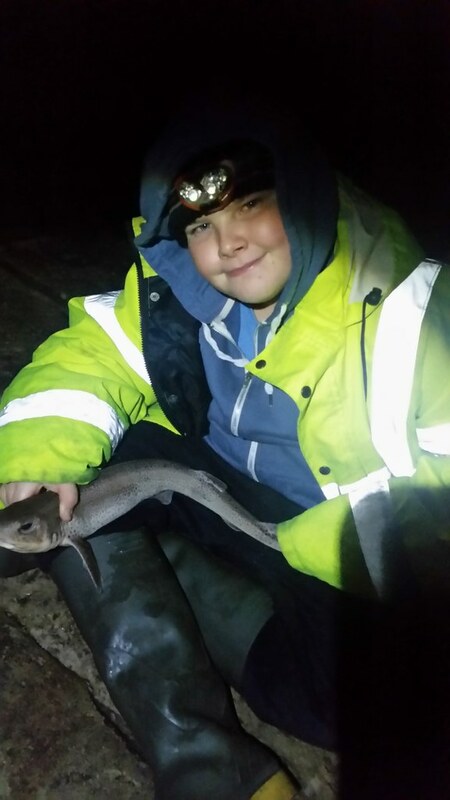 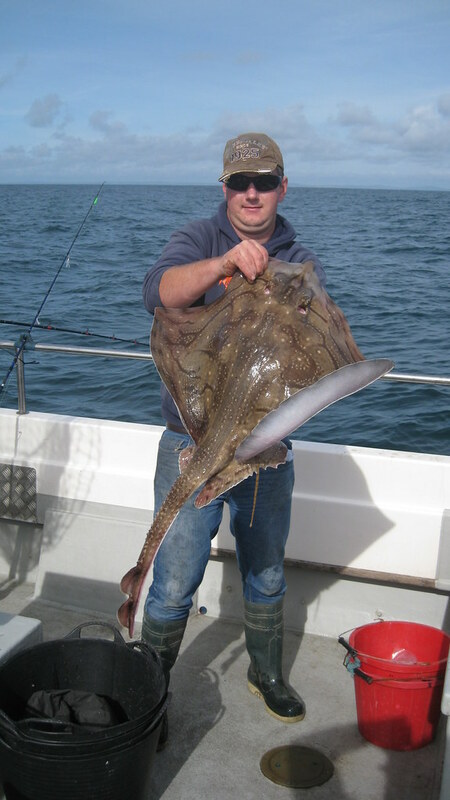 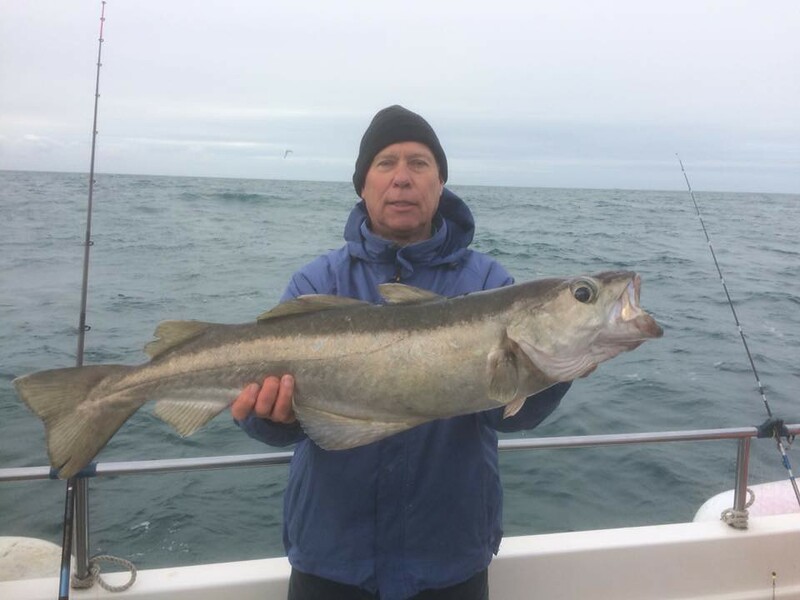 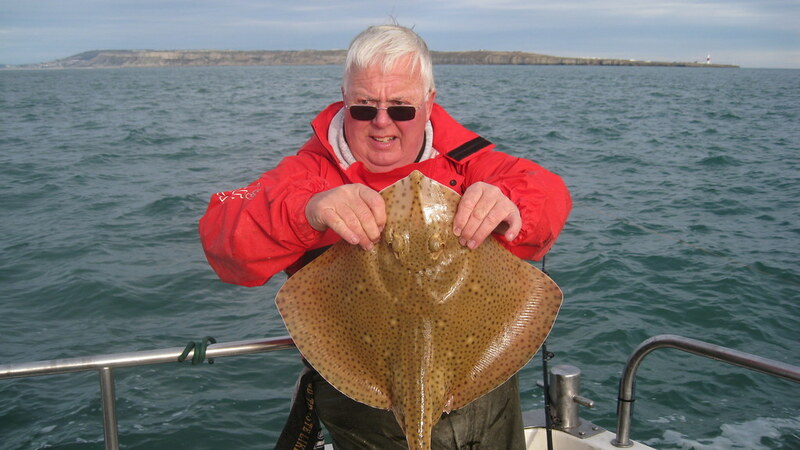 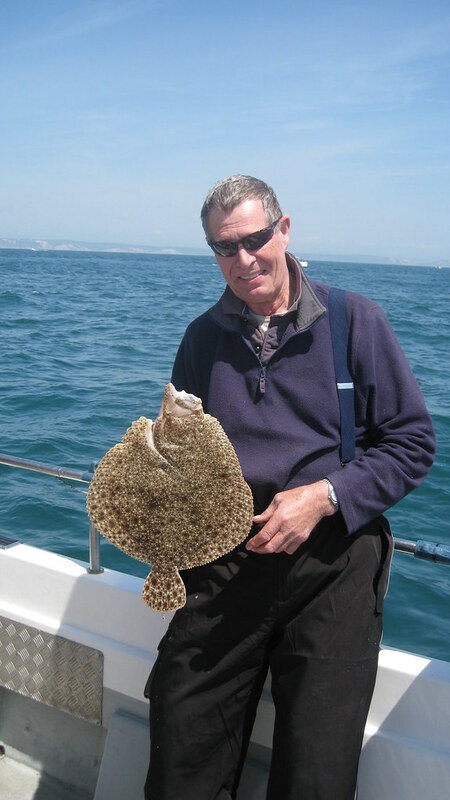 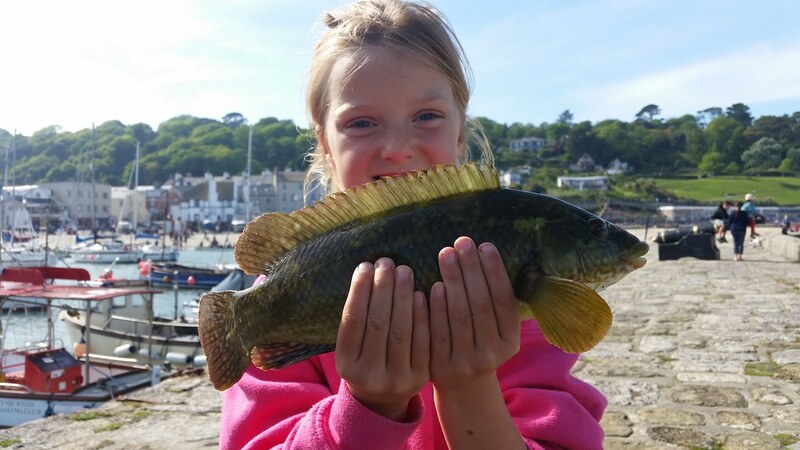 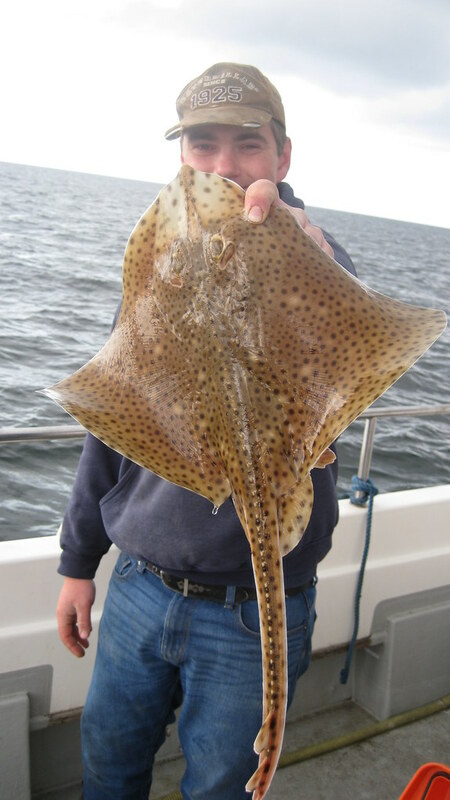 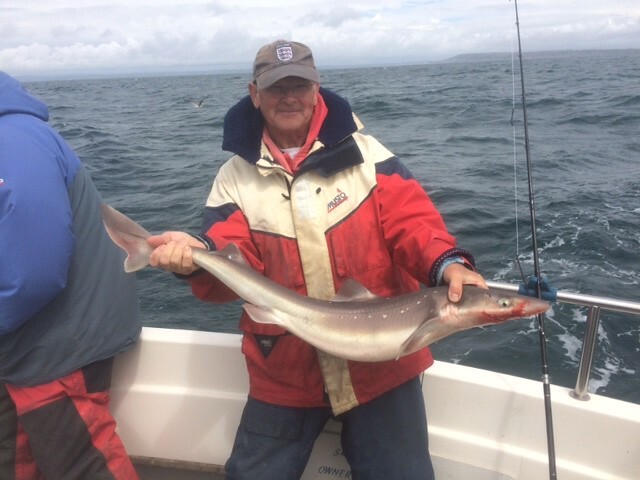 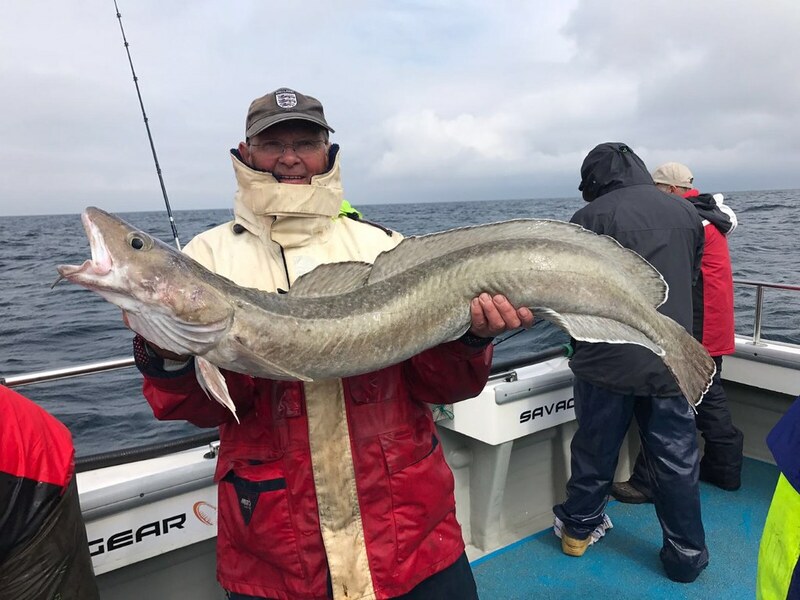 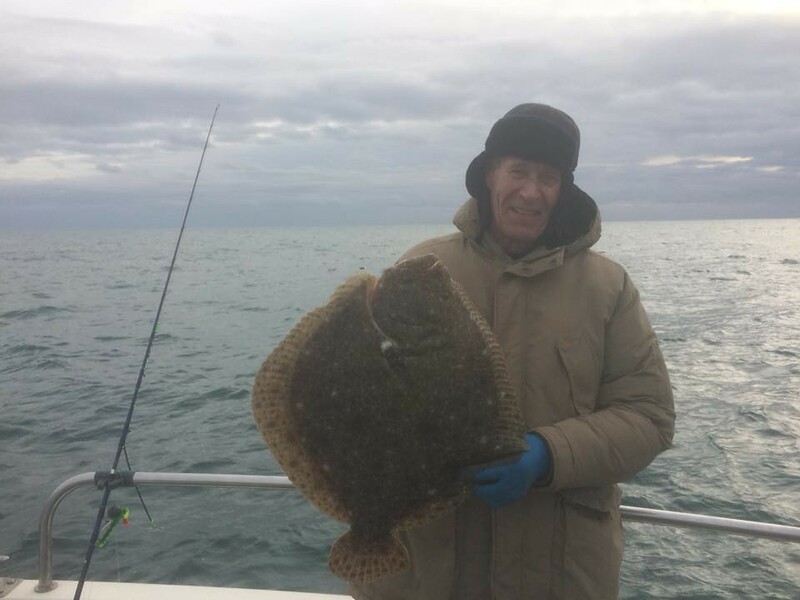 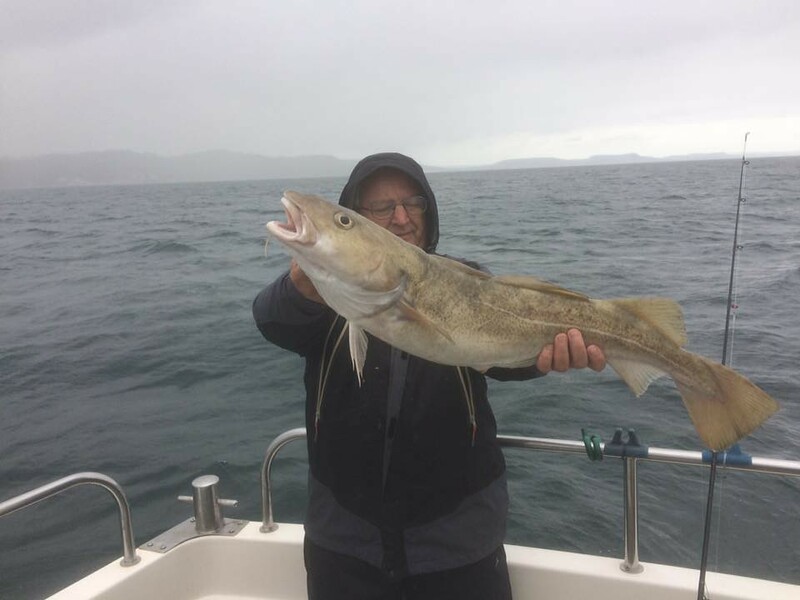 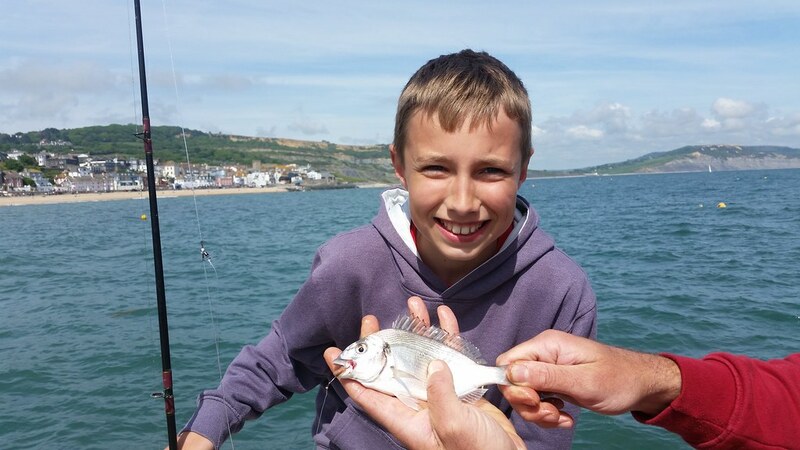 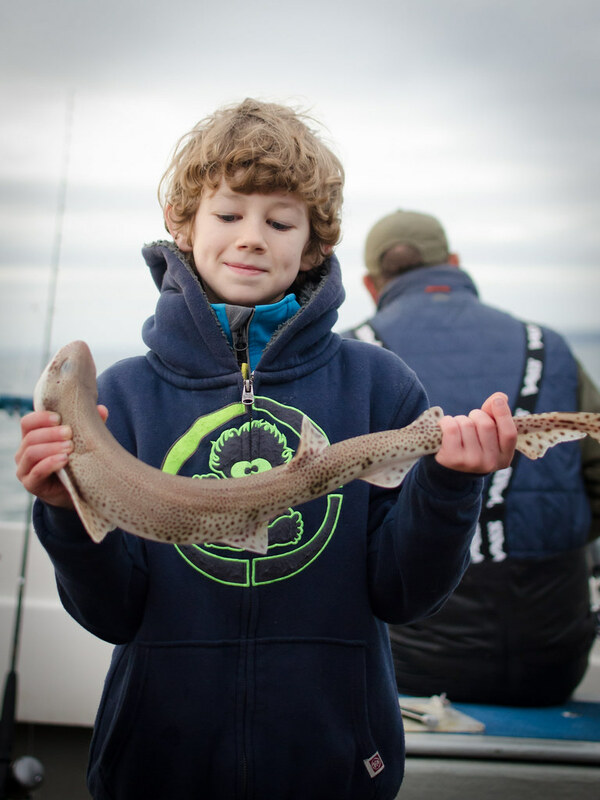 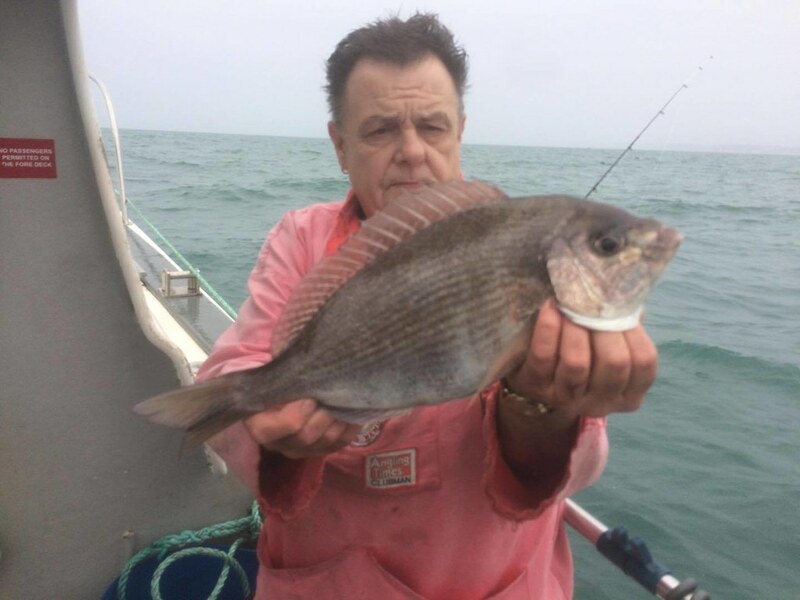 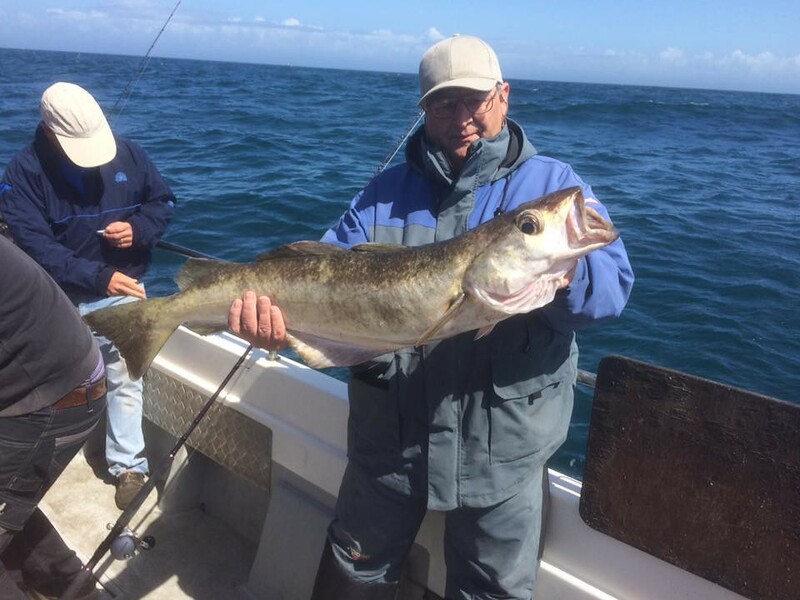 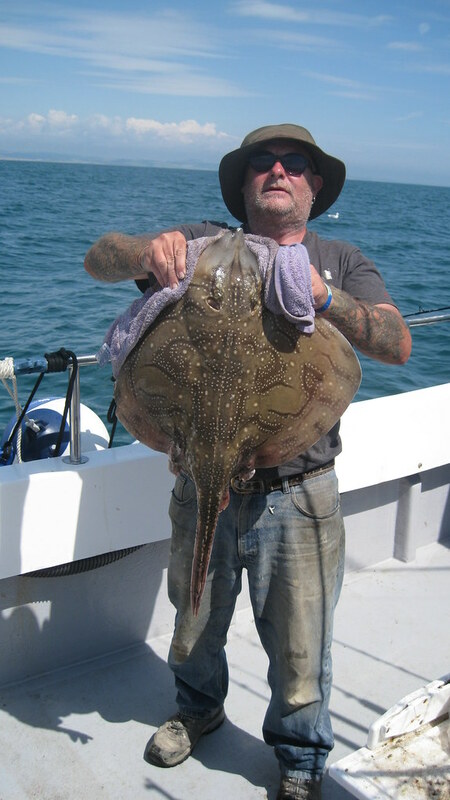 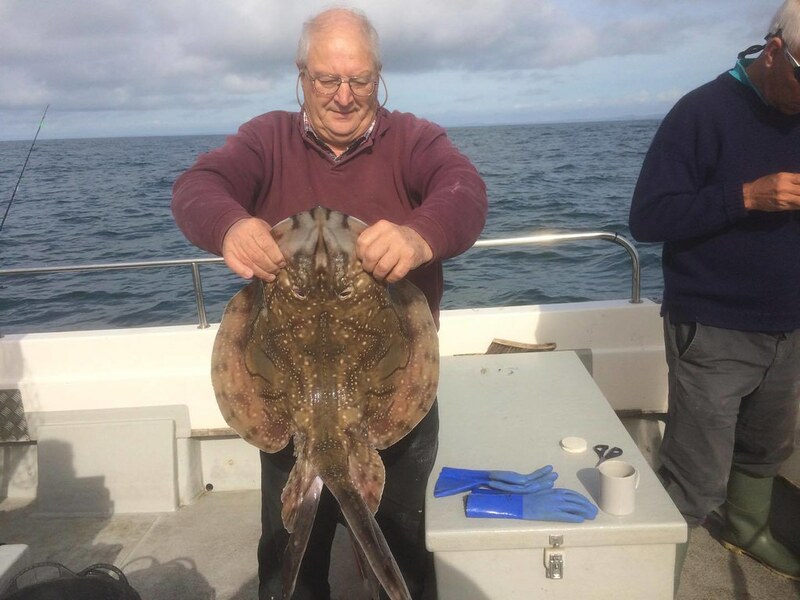 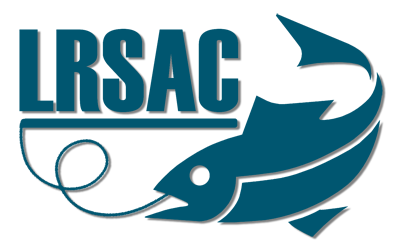 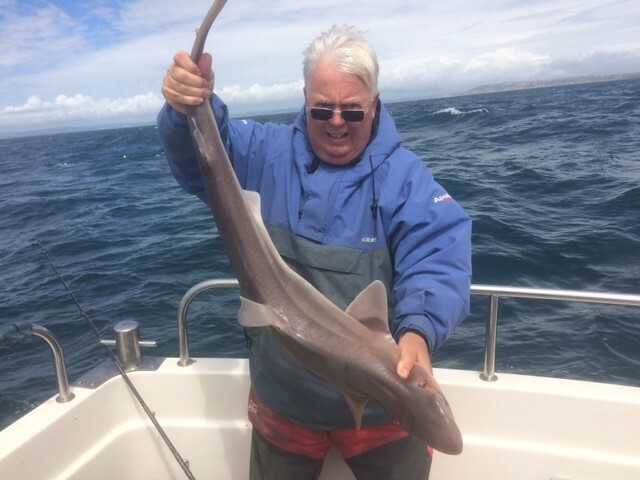 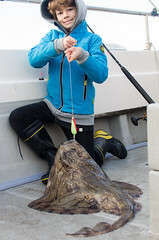 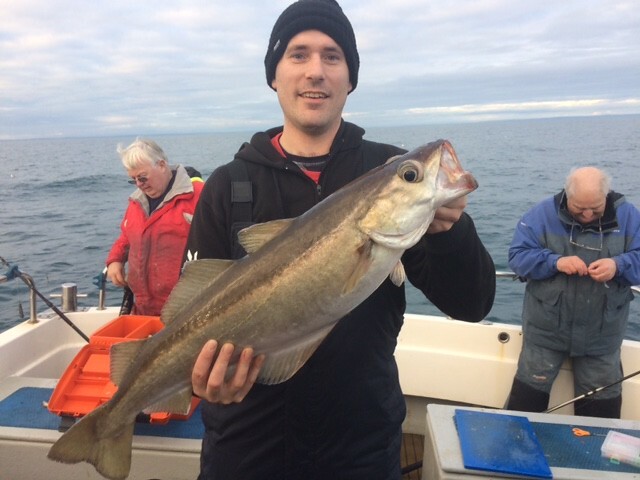 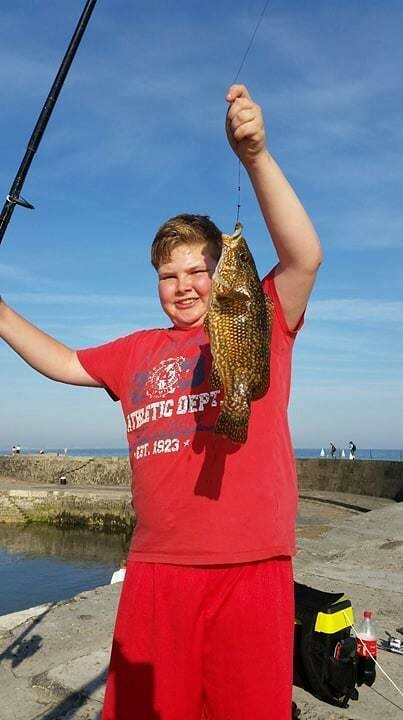 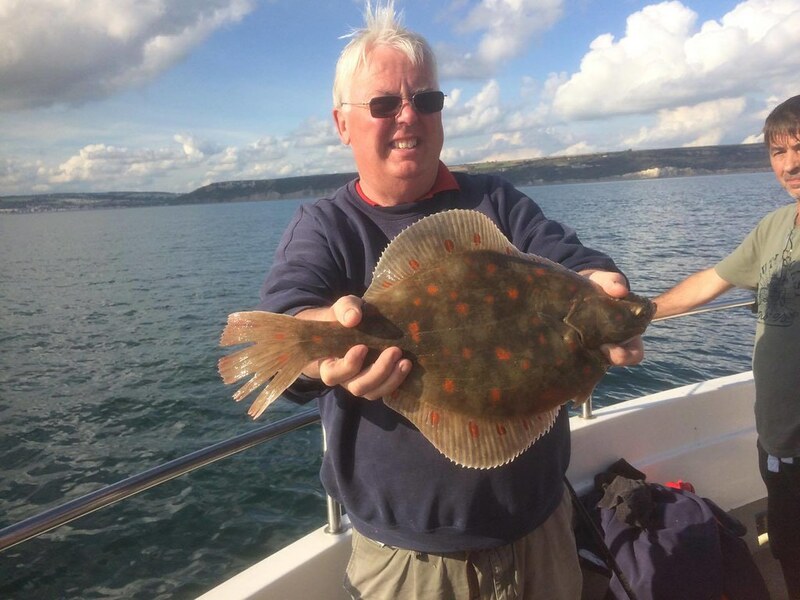 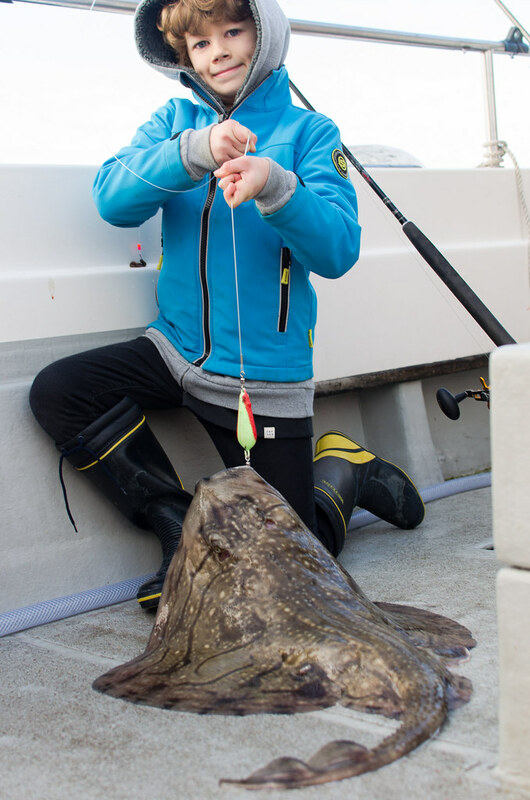 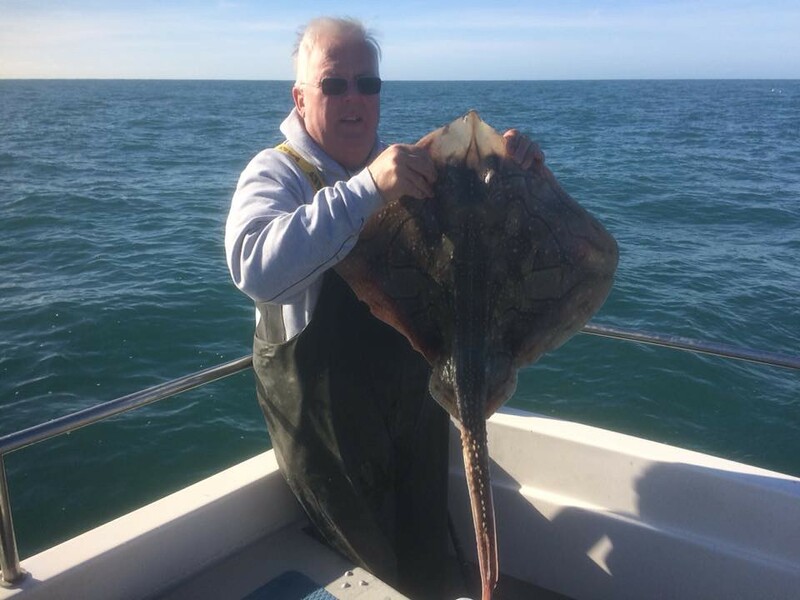 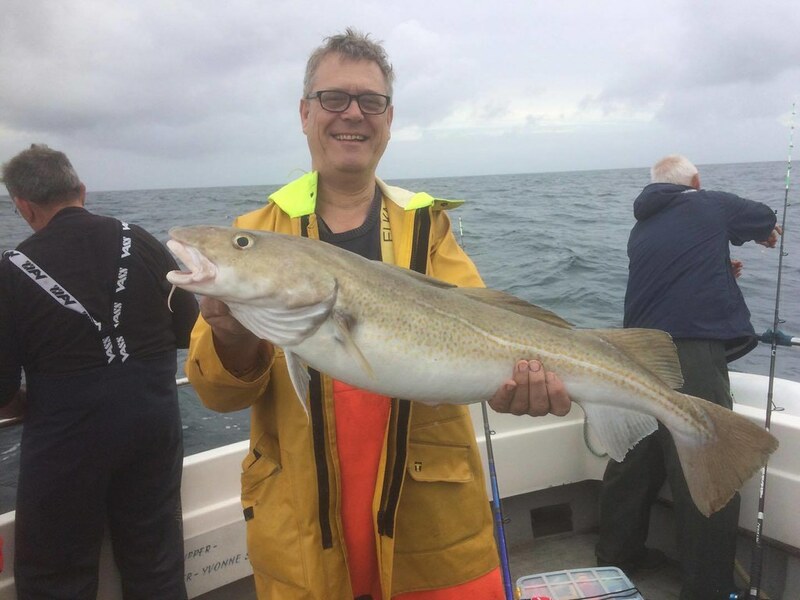 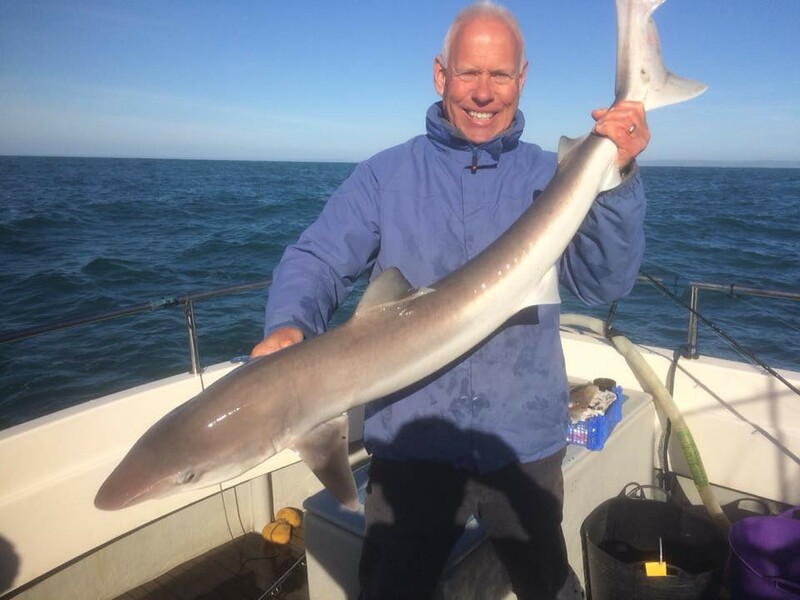 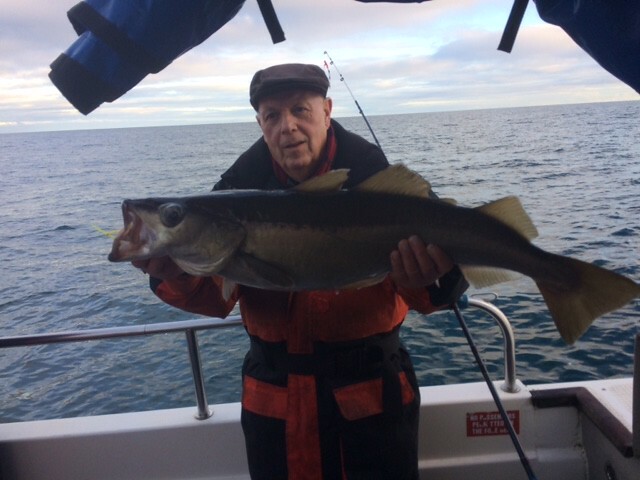 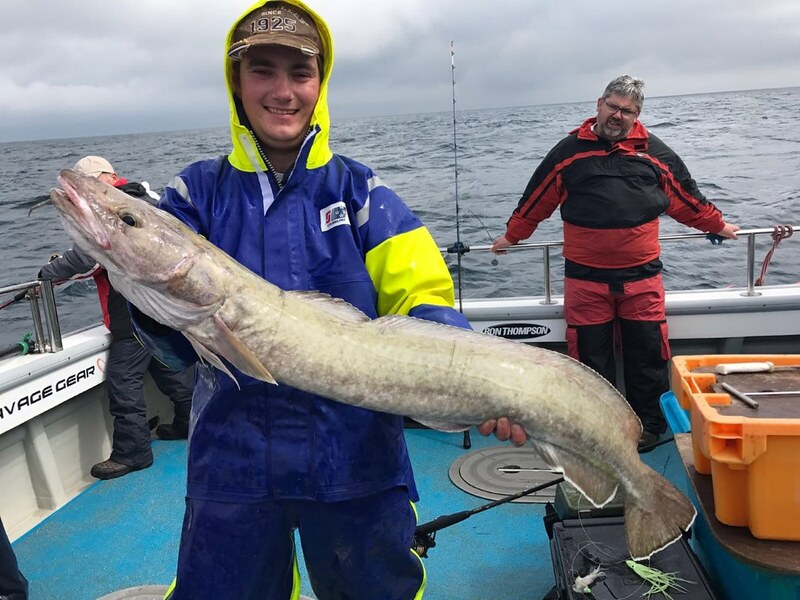 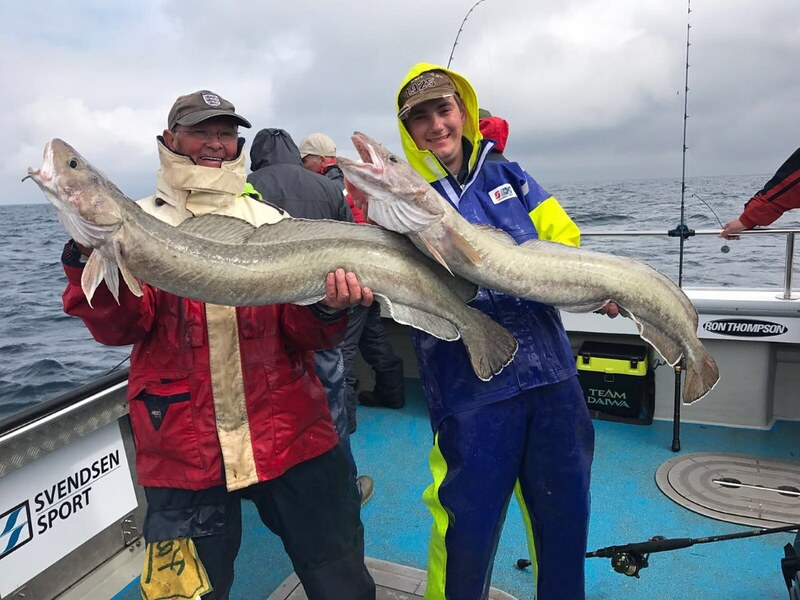 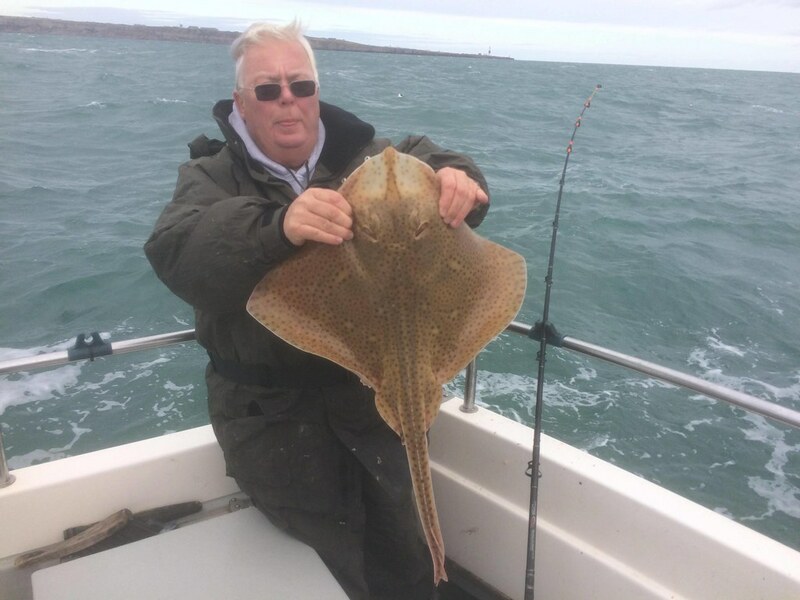 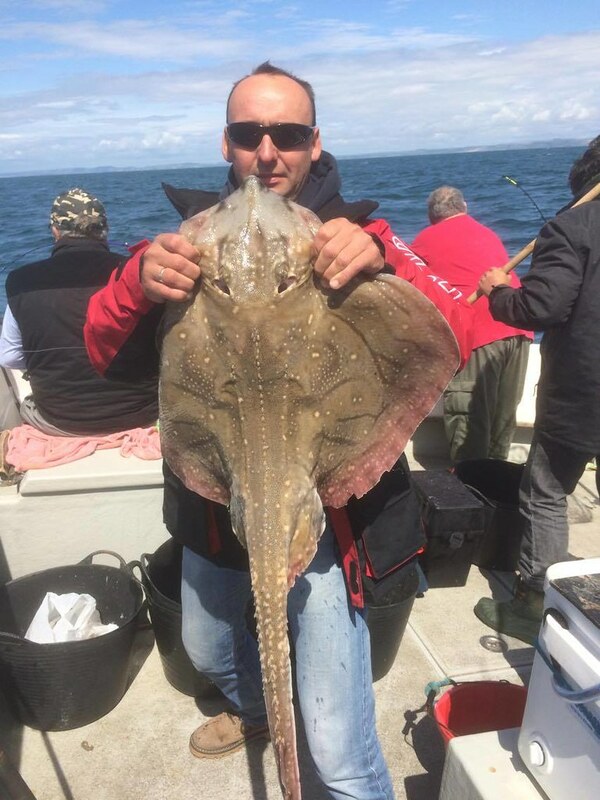 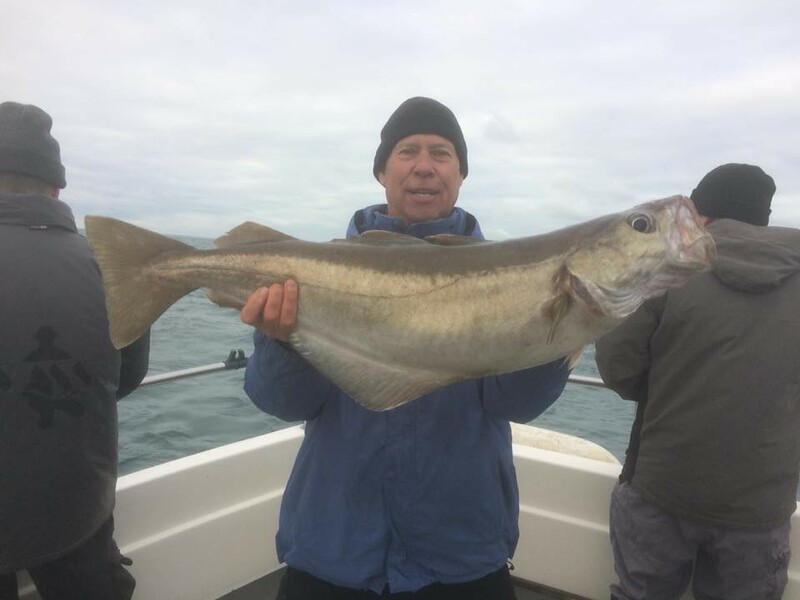 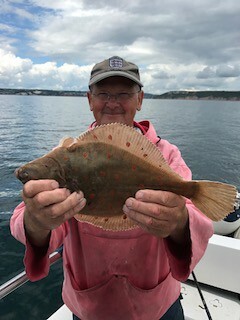 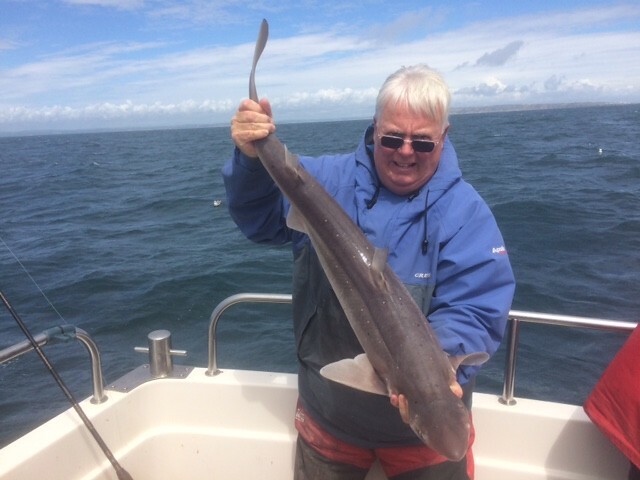 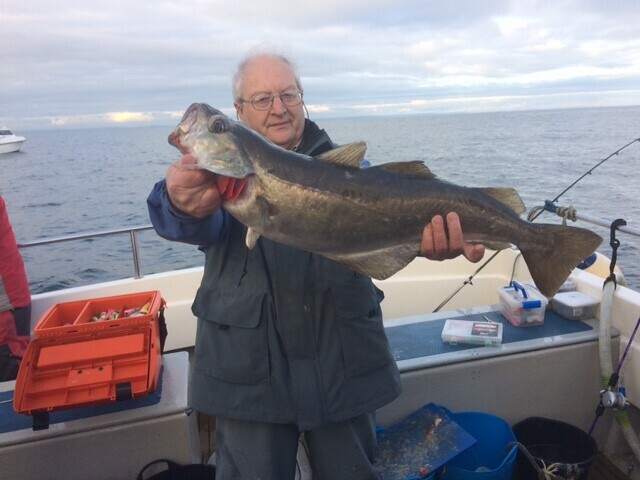 Picture of Keir (fishing on Pegasus) who caught this new Junior Boat record Undulate Ray of 13 lbs whilst fishing in the last Senior LRSAC Boat match of the season. 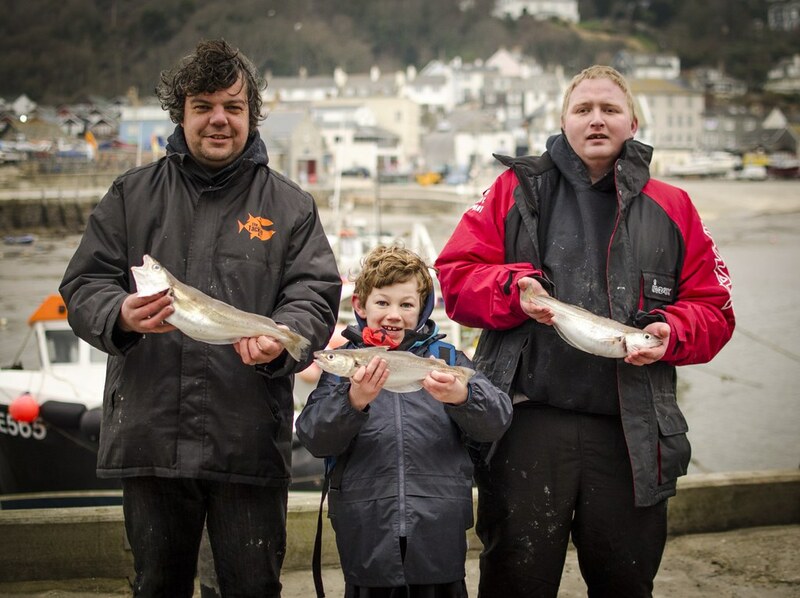 This was a fitting highlight for a memorable day for Keir who won the competition beating nine other adults. 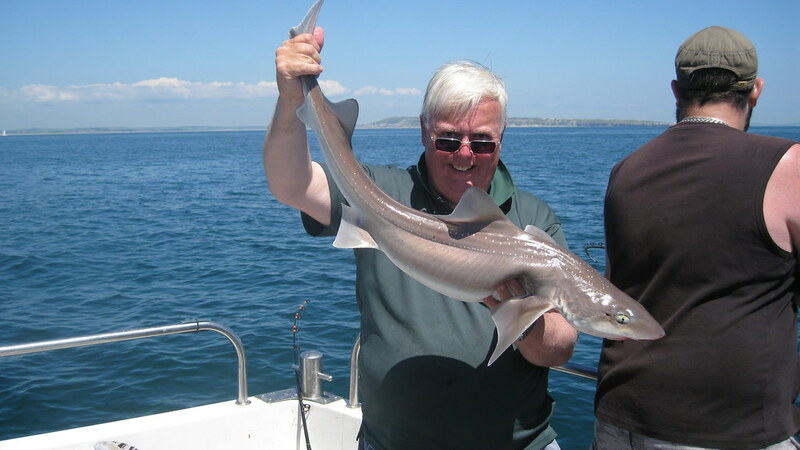 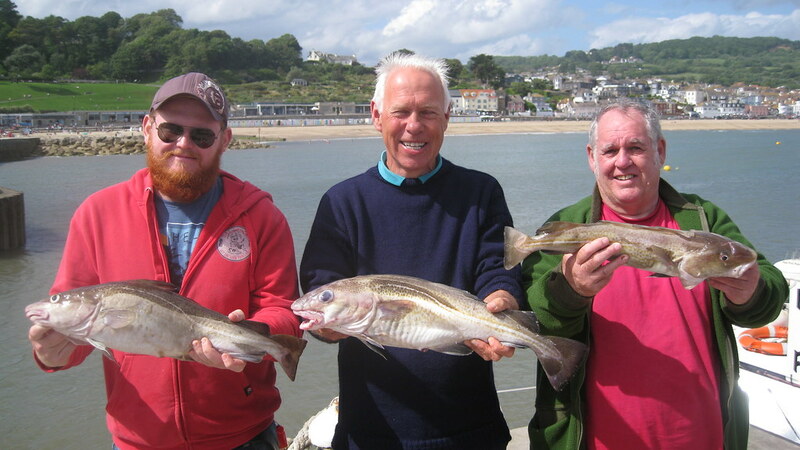 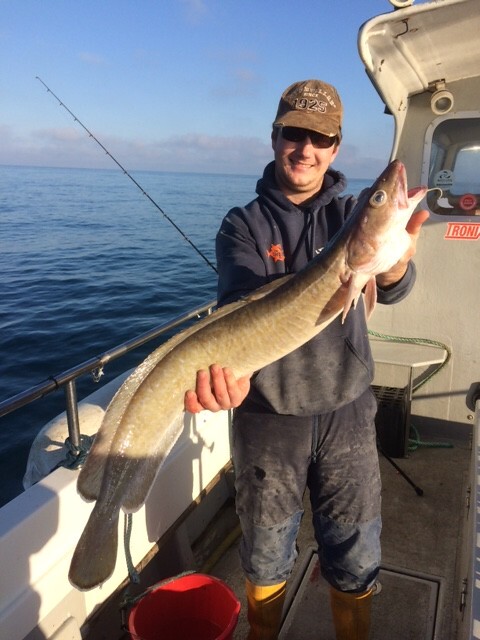 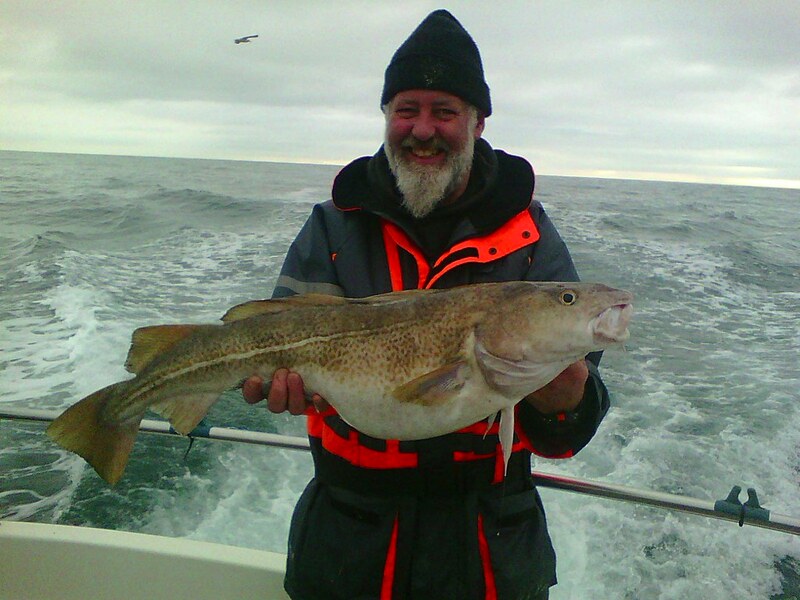 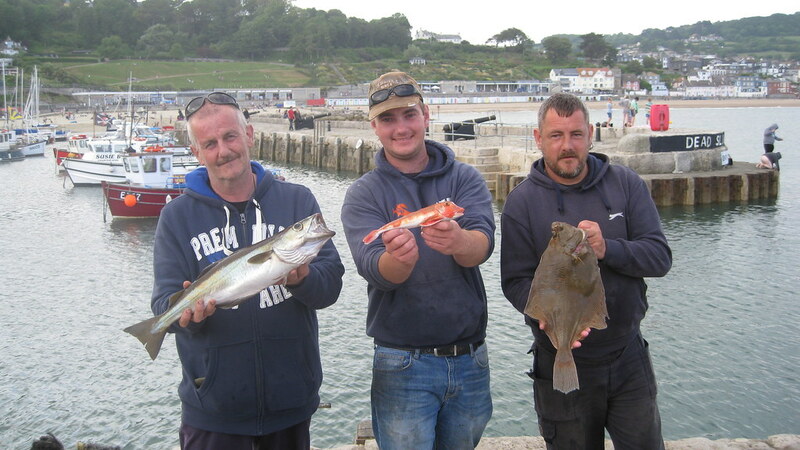 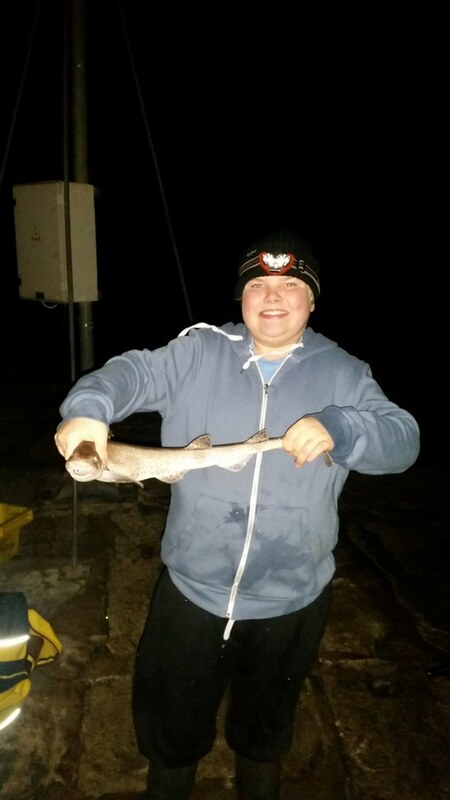 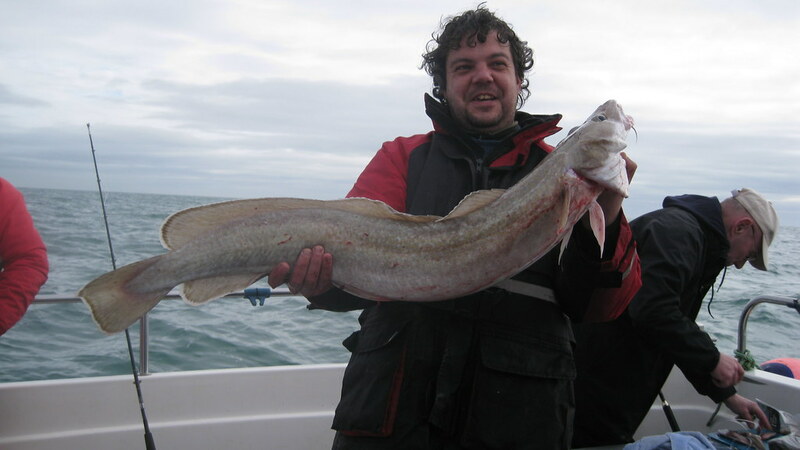 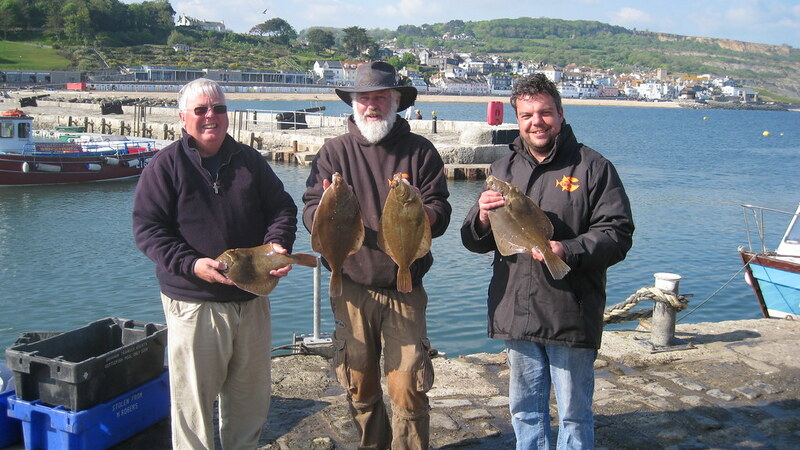 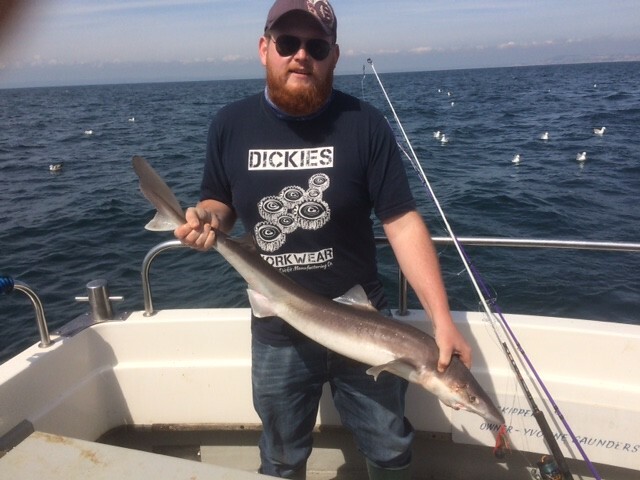 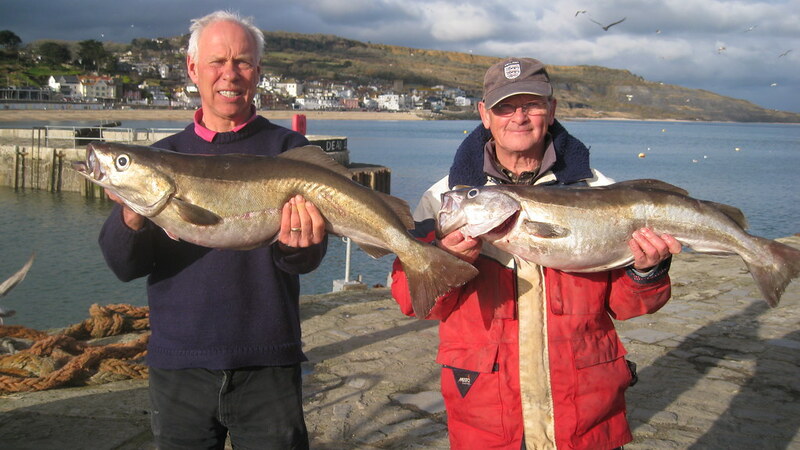 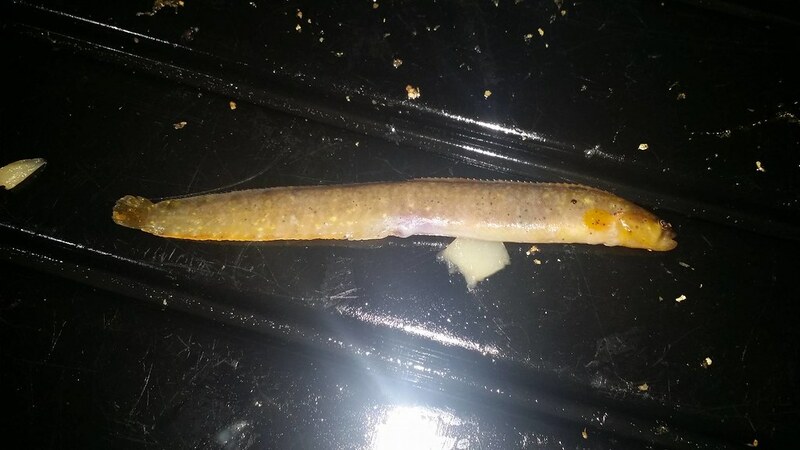 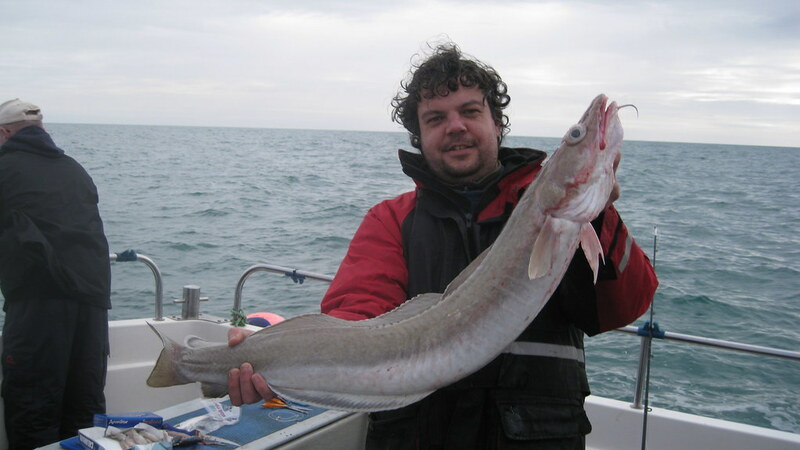 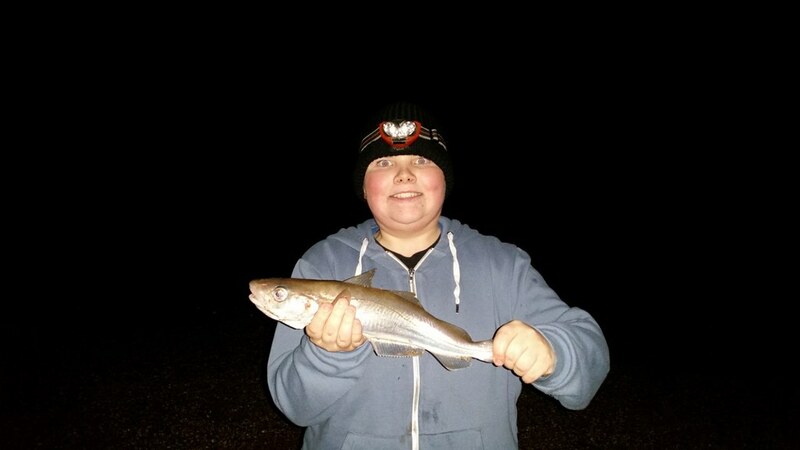 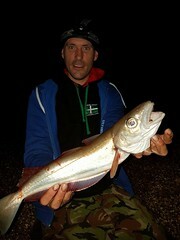 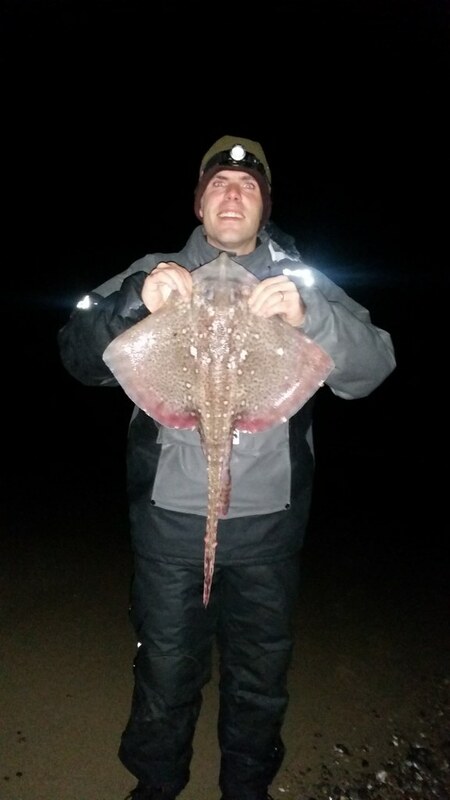 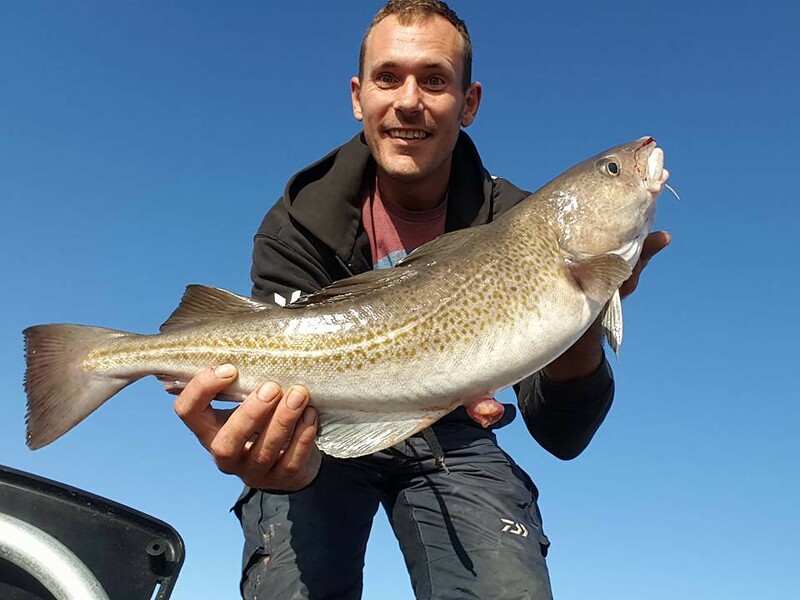 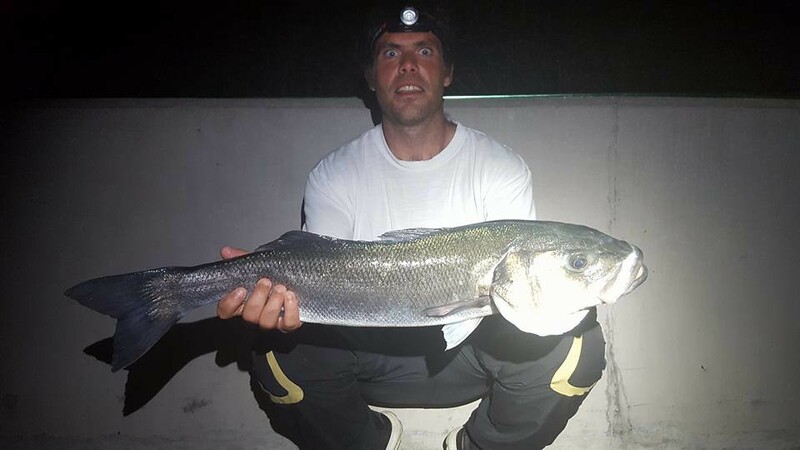 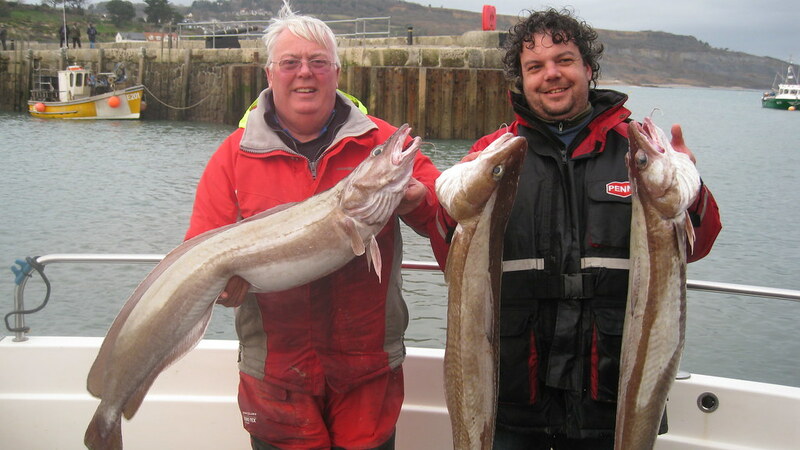 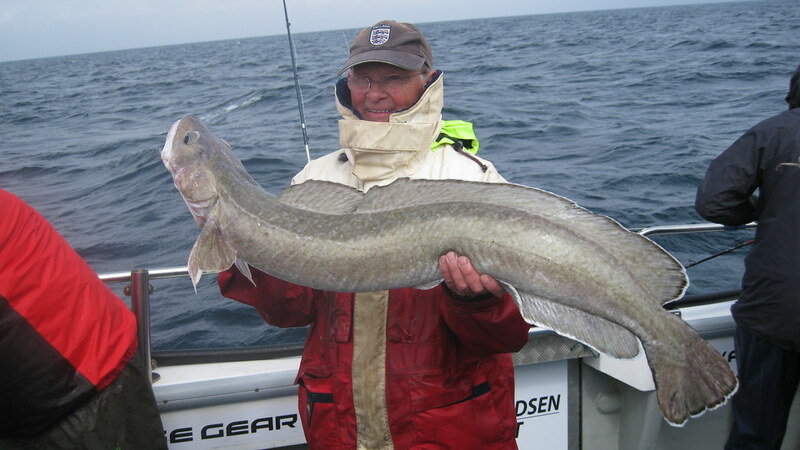 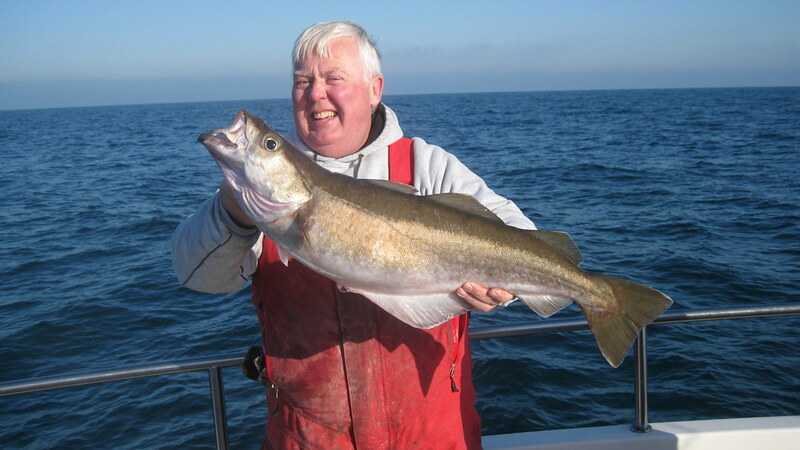 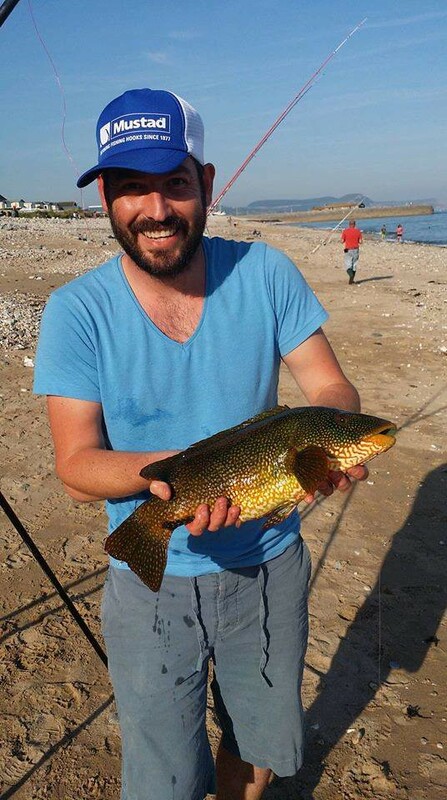 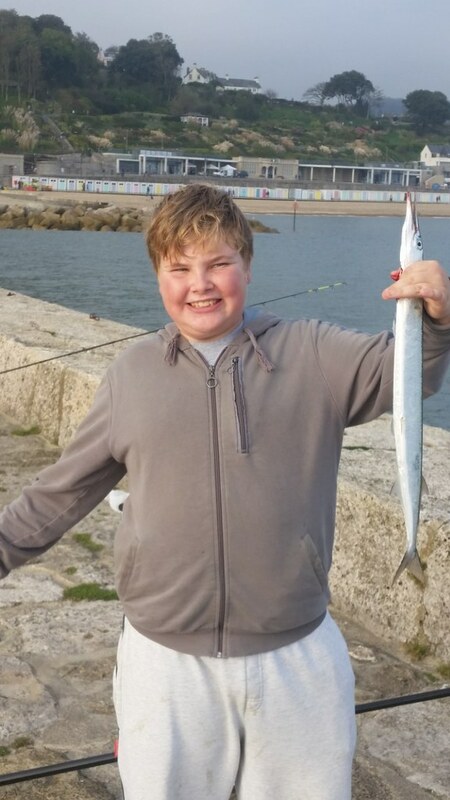 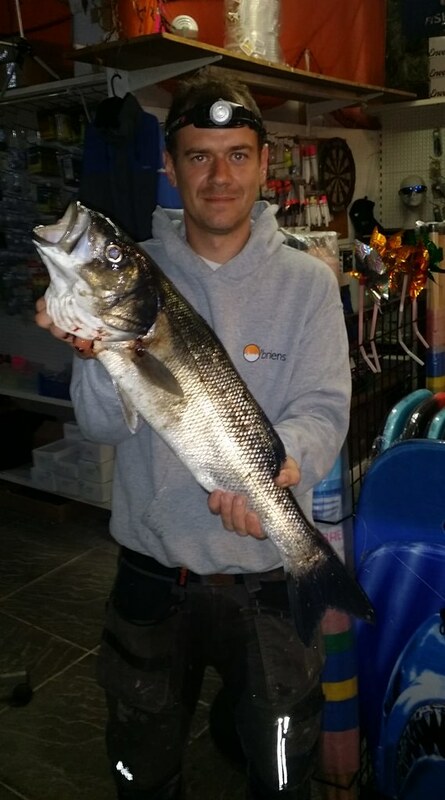 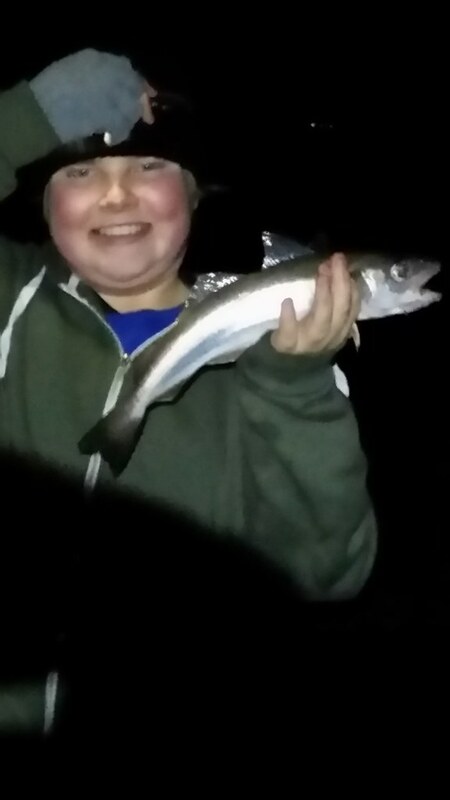 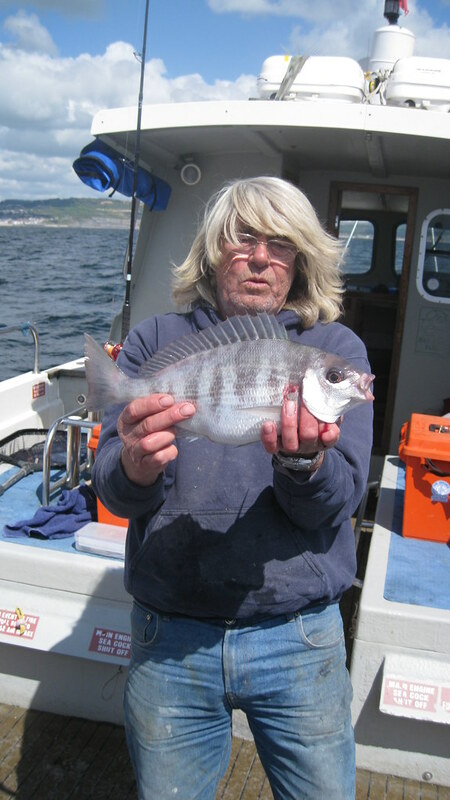 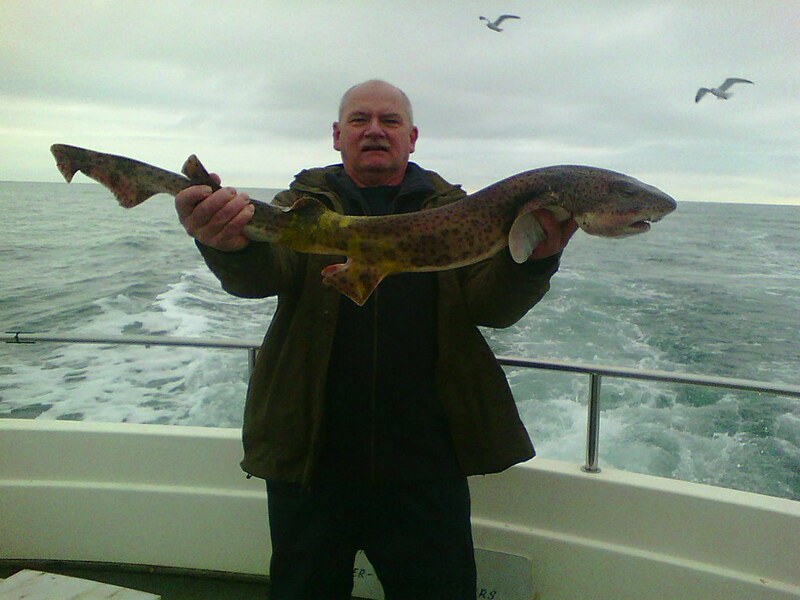 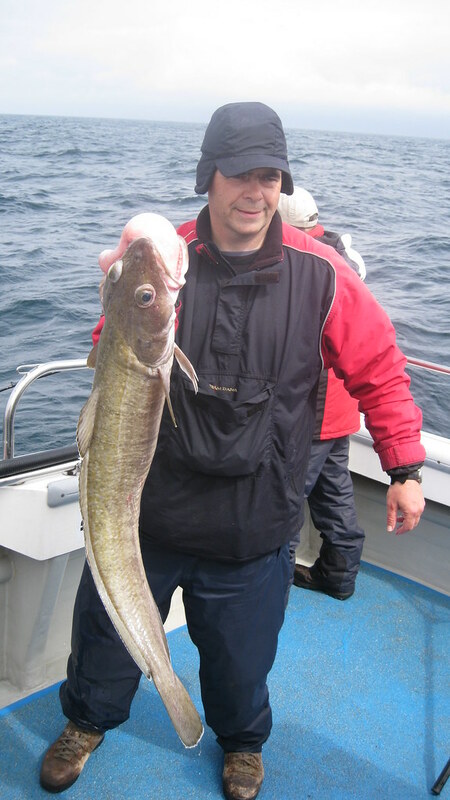 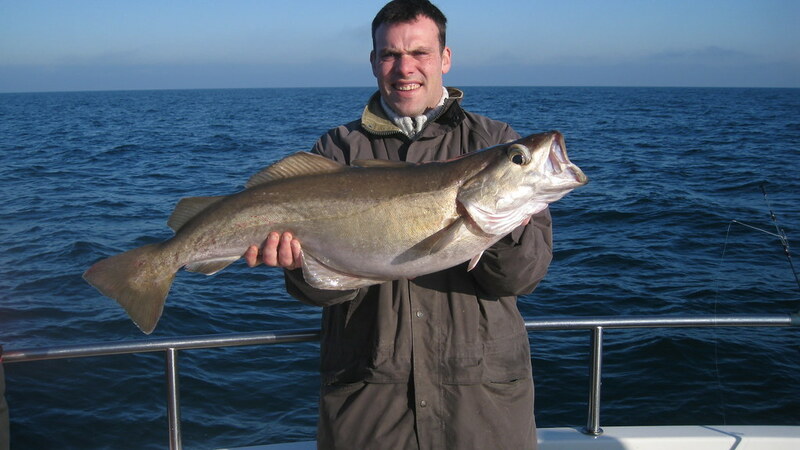 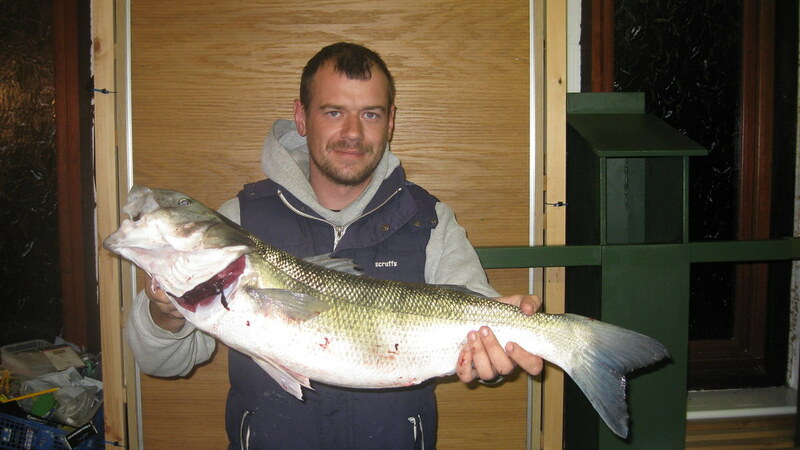 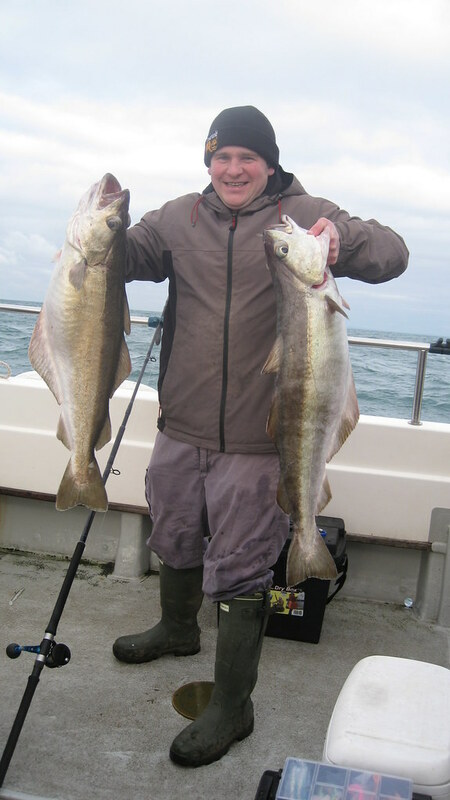 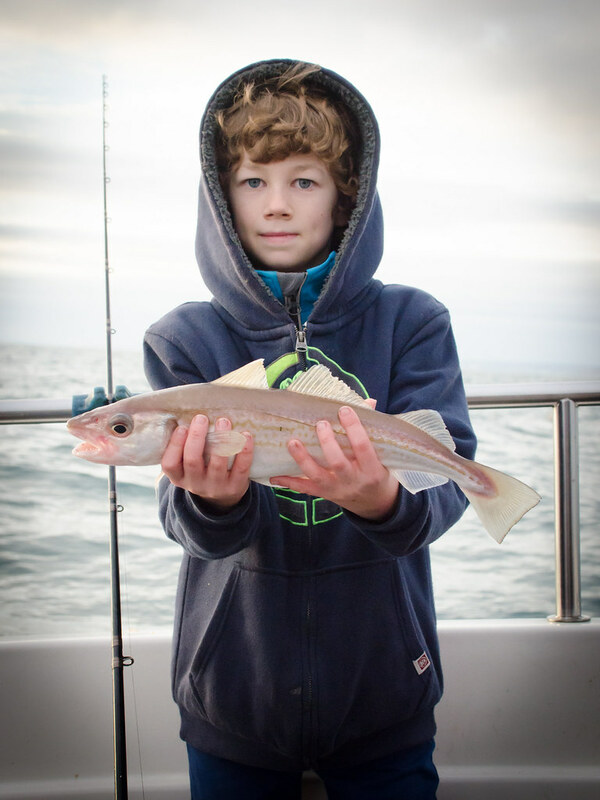 Picture of Ollie Male with a 1lb 14ozs (857gms) shore caught Whiting caught on Chesil Beach. 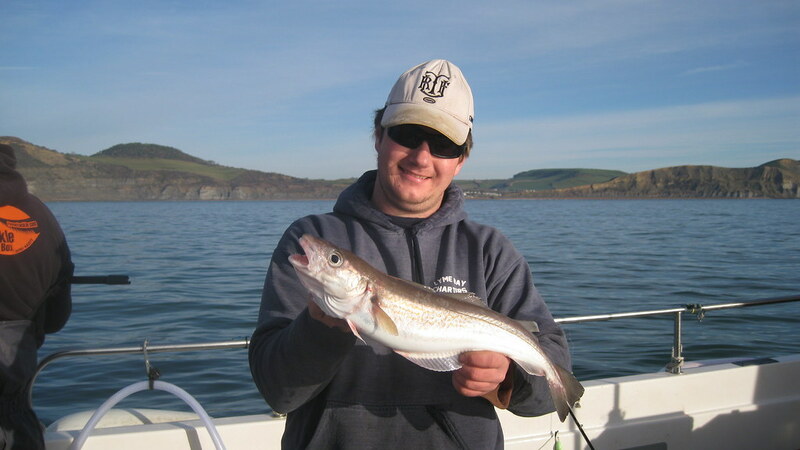 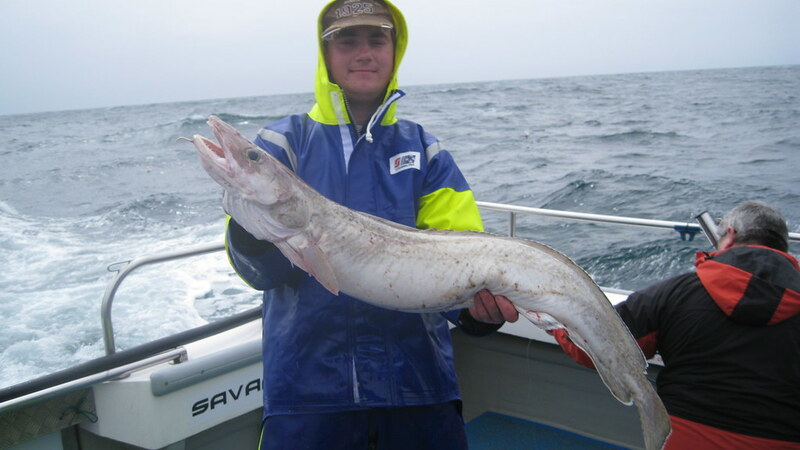 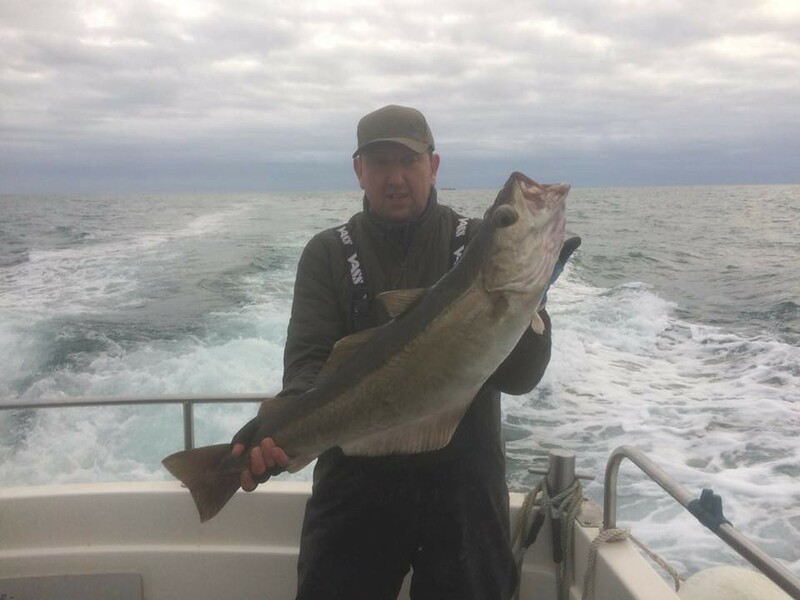 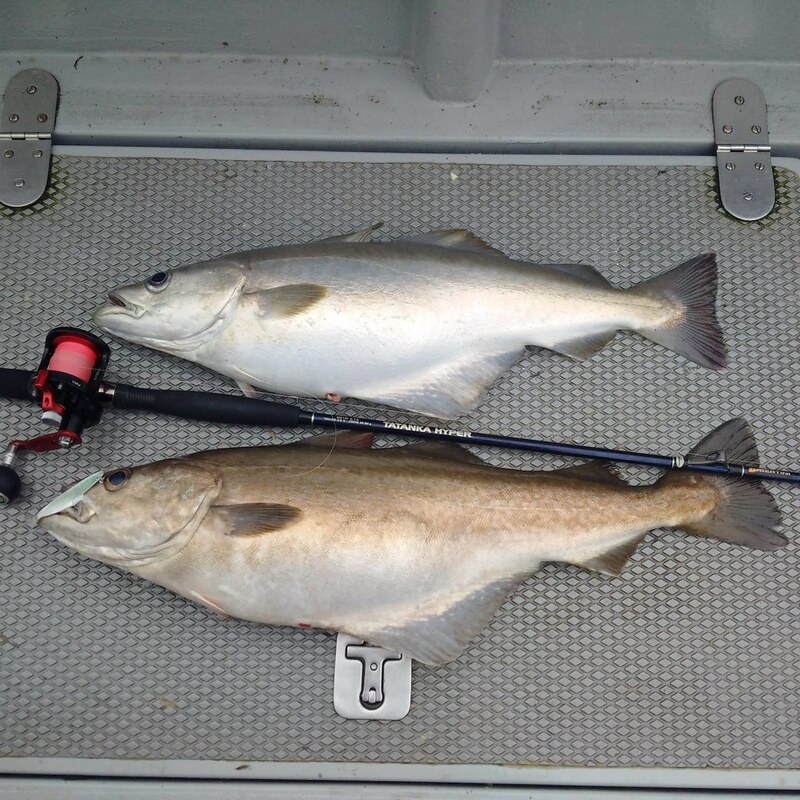 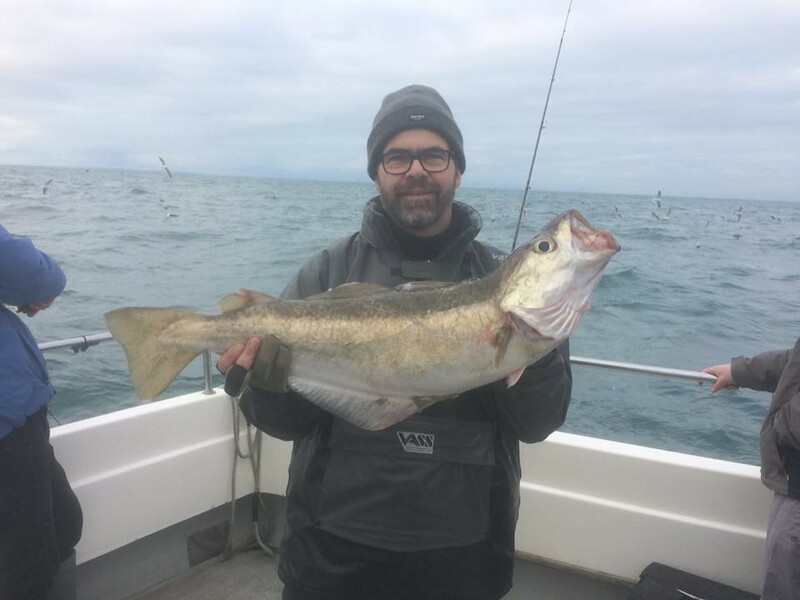 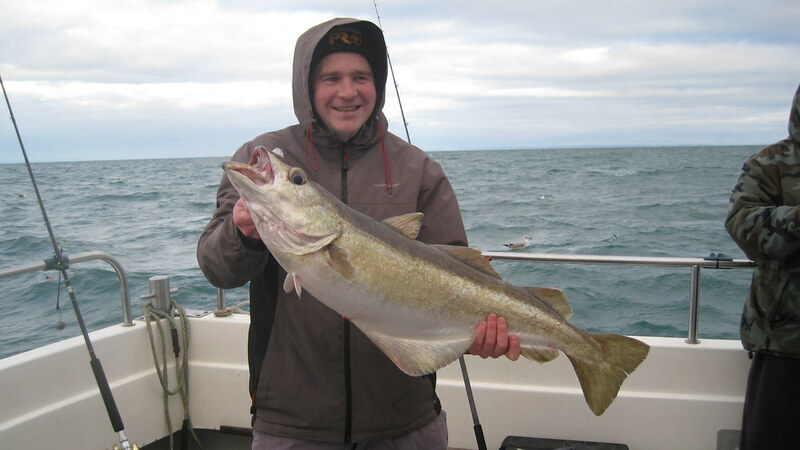 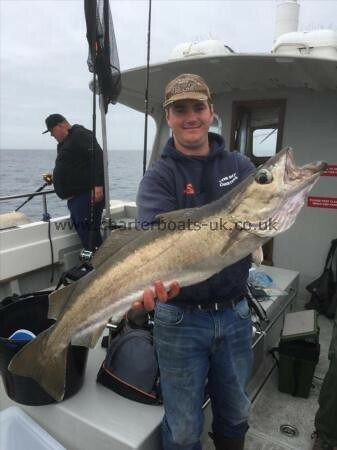 This is a seasons best Whiting which gives Ollie 125.84% specimen fish. 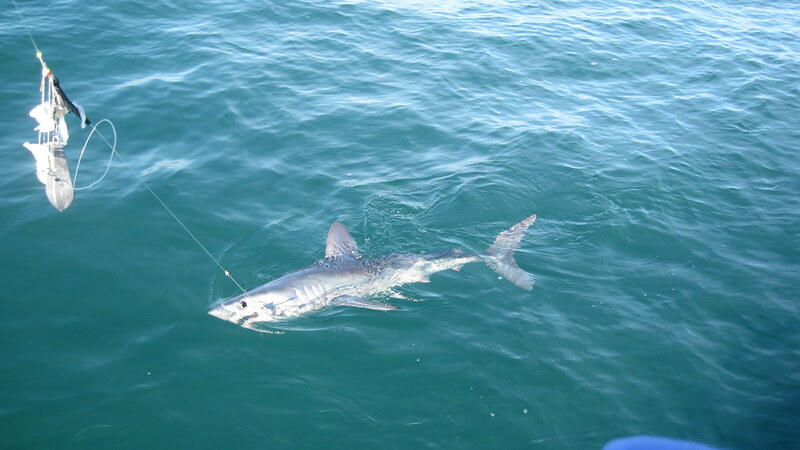 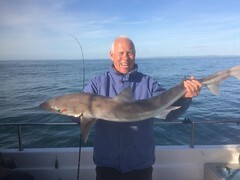 Picture of Roy Shipway's Porbeagle Shark caught on Alice Rose (skipper Lewis Hodder) coming up to the surface before disappearing on another searing run. 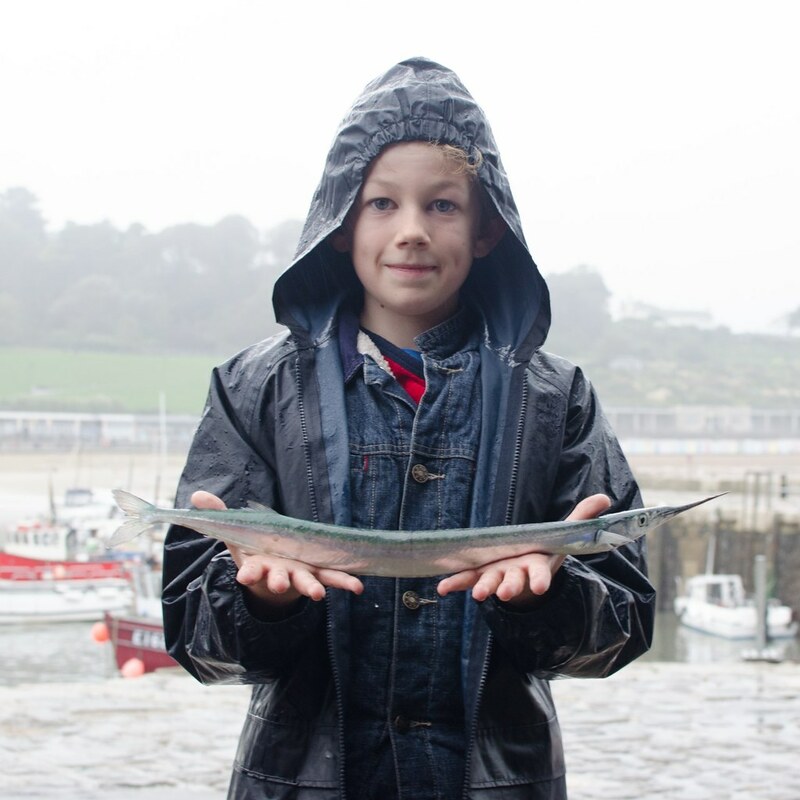 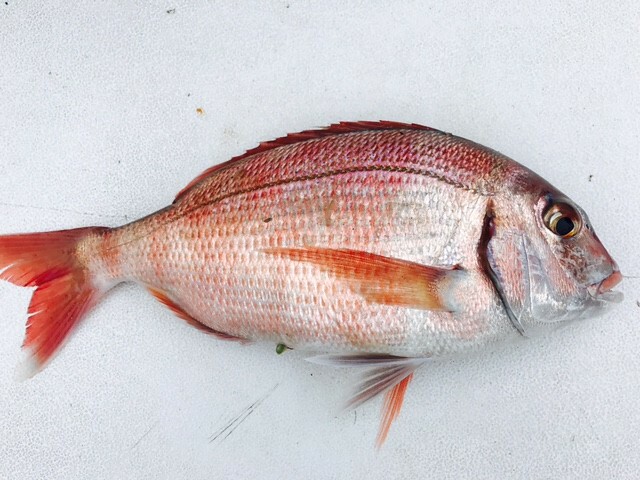 The fish was safely released back into the water. 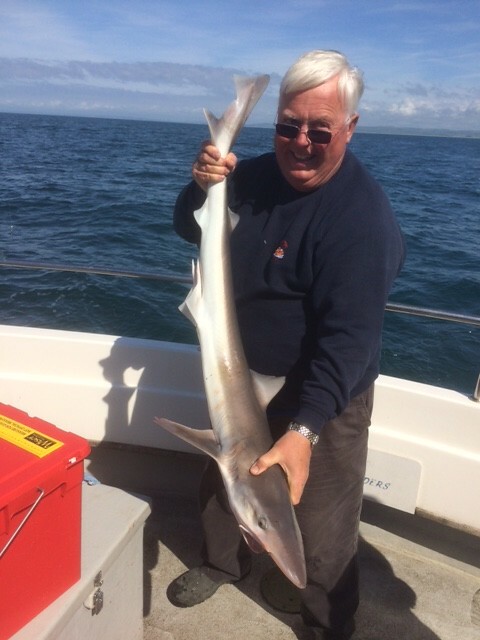 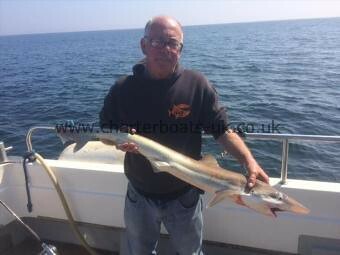 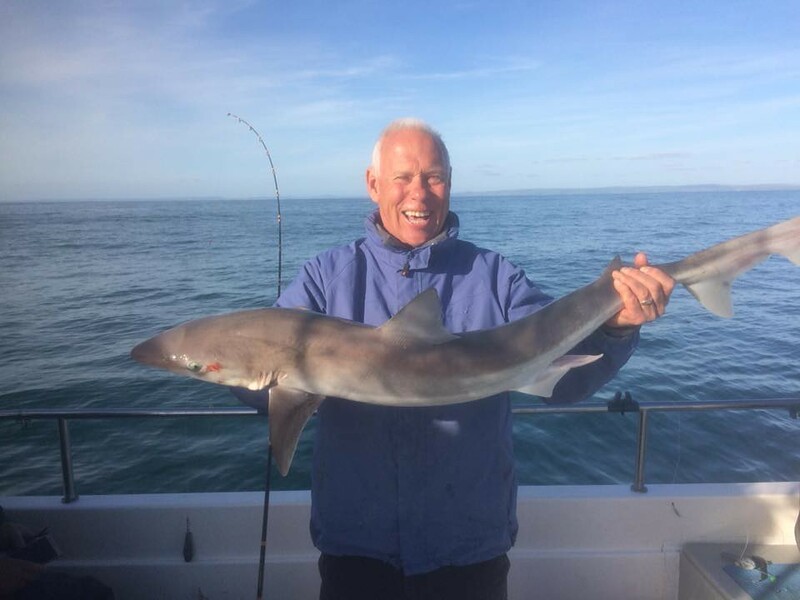 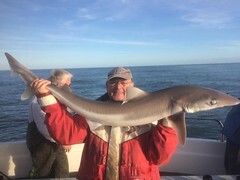 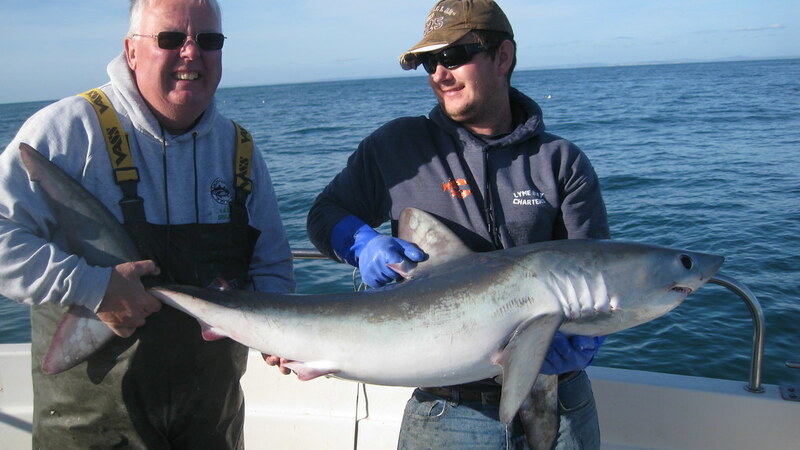 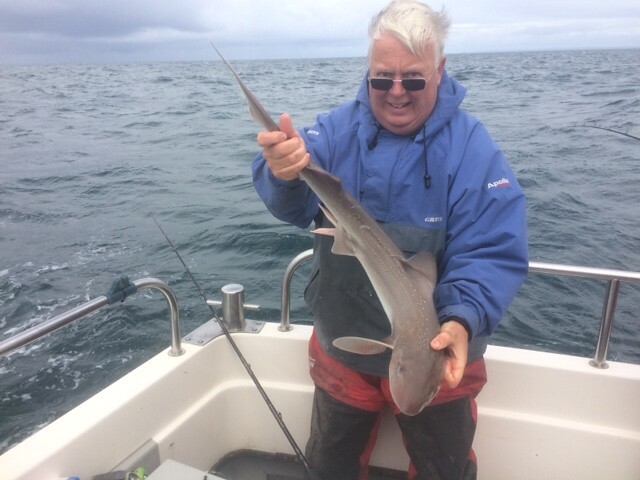 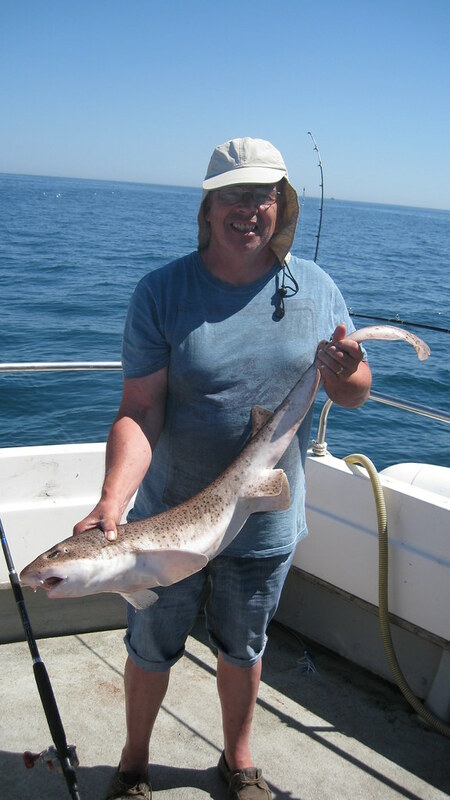 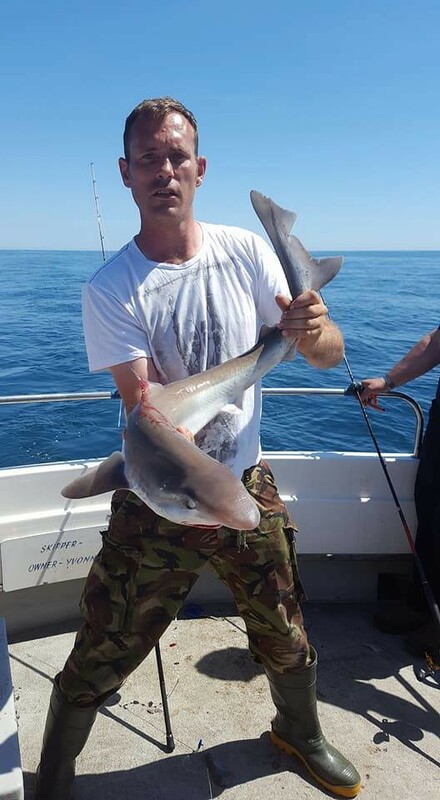 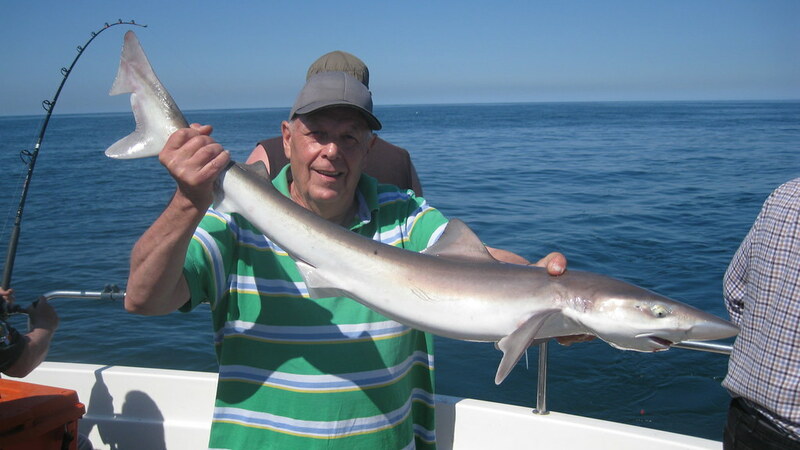 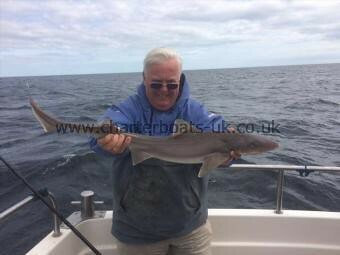 Roy pictured with the new club record Porbeagle Shark of just under 55lbs caught on Alice Rose (Skipper Lewis Hodder). 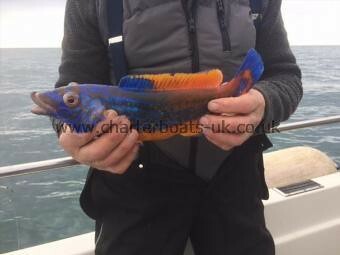 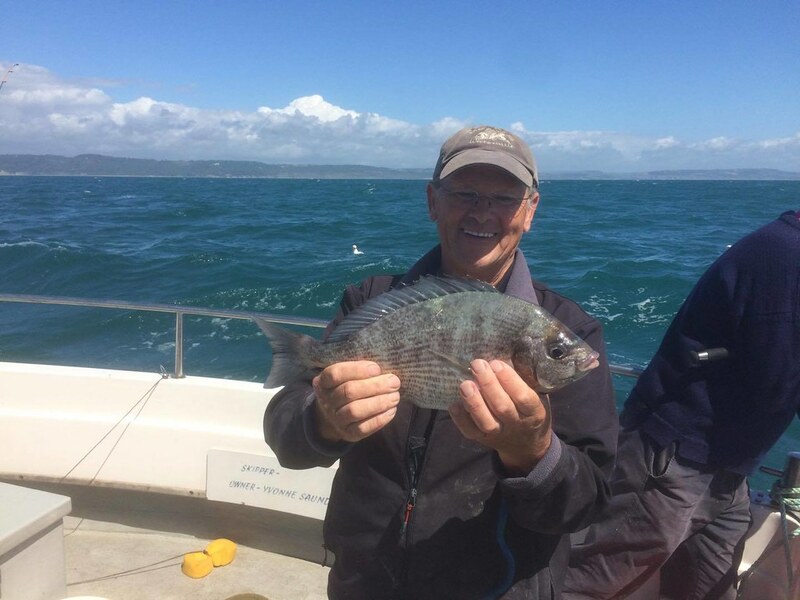 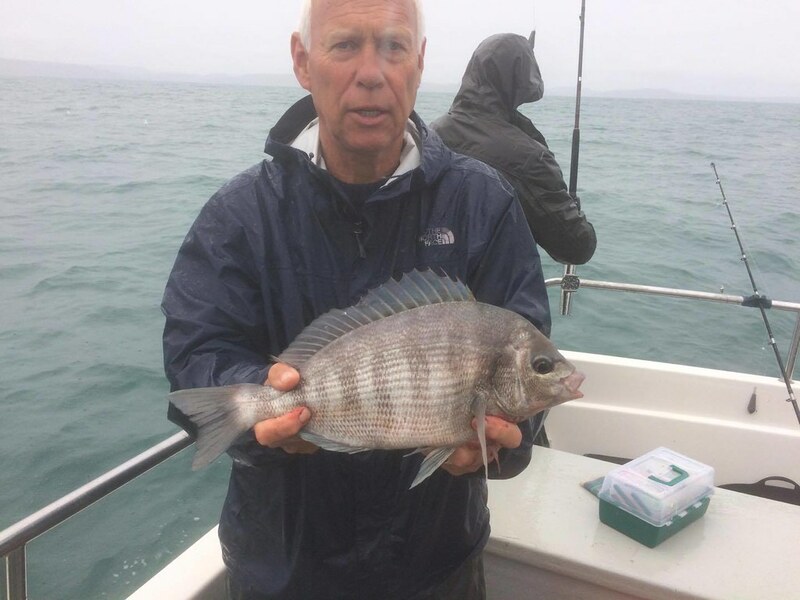 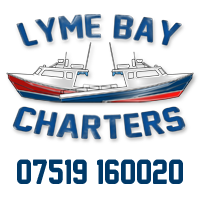 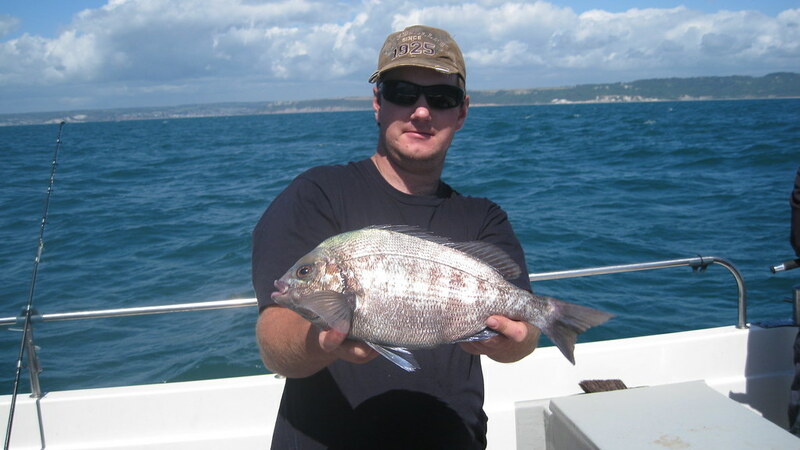 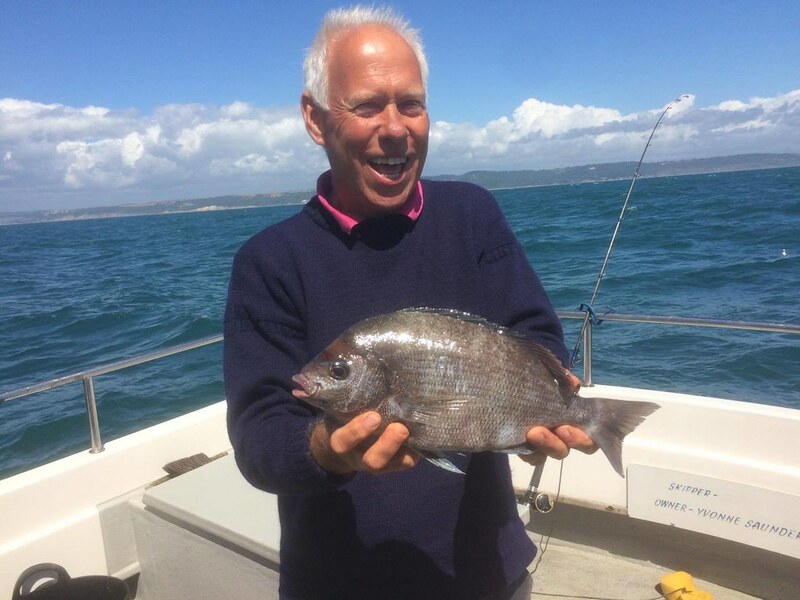 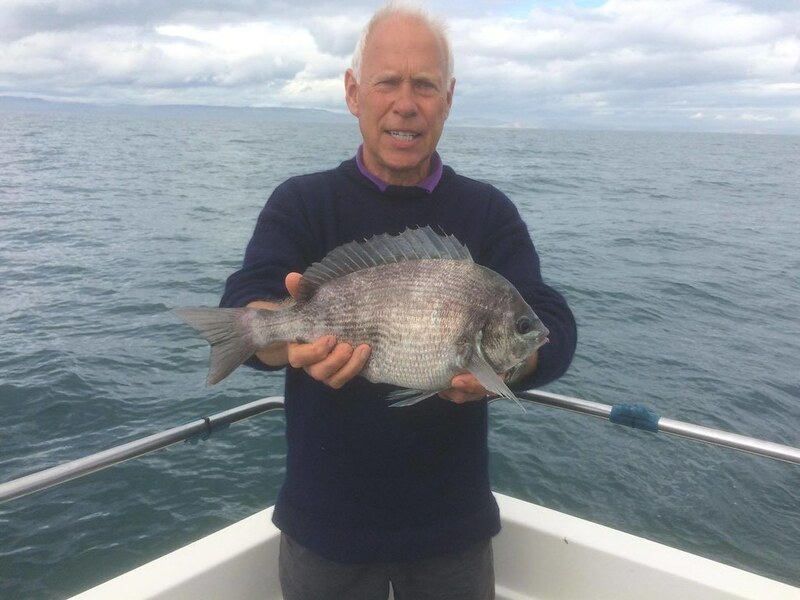 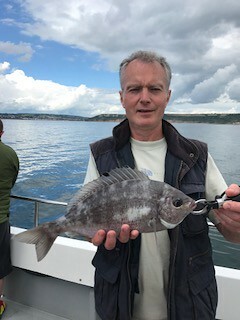 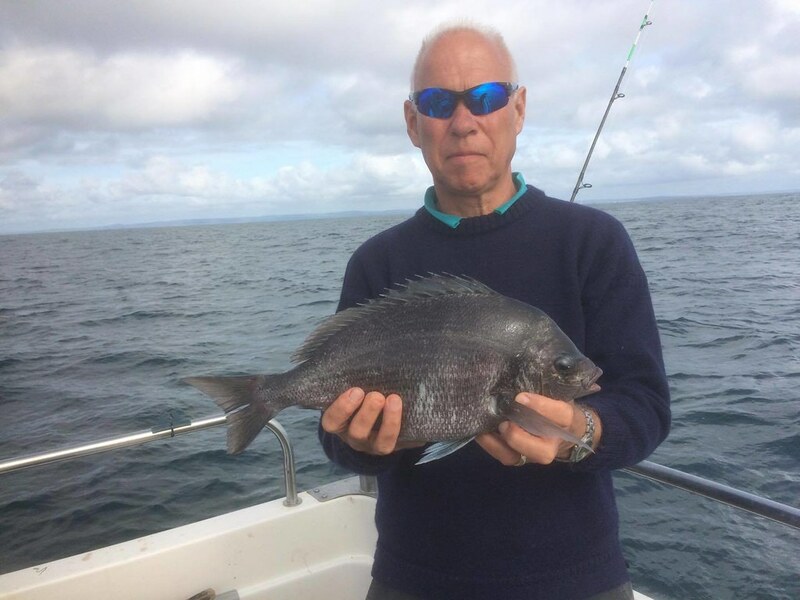 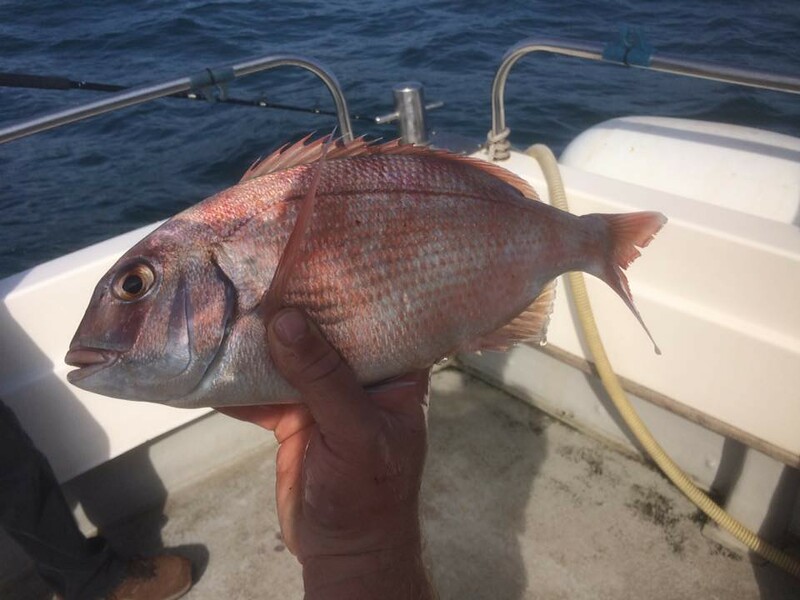 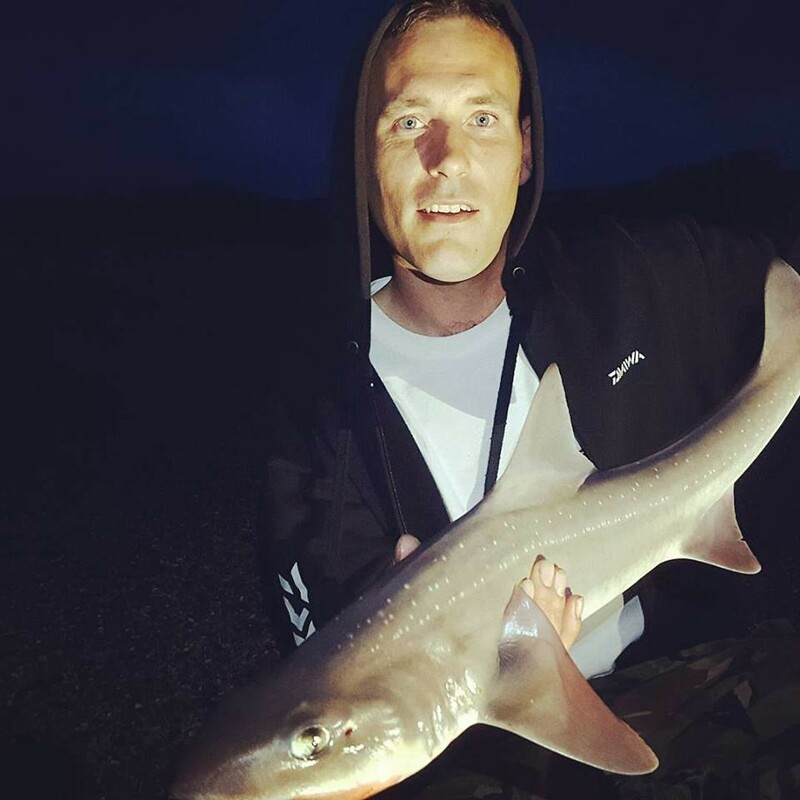 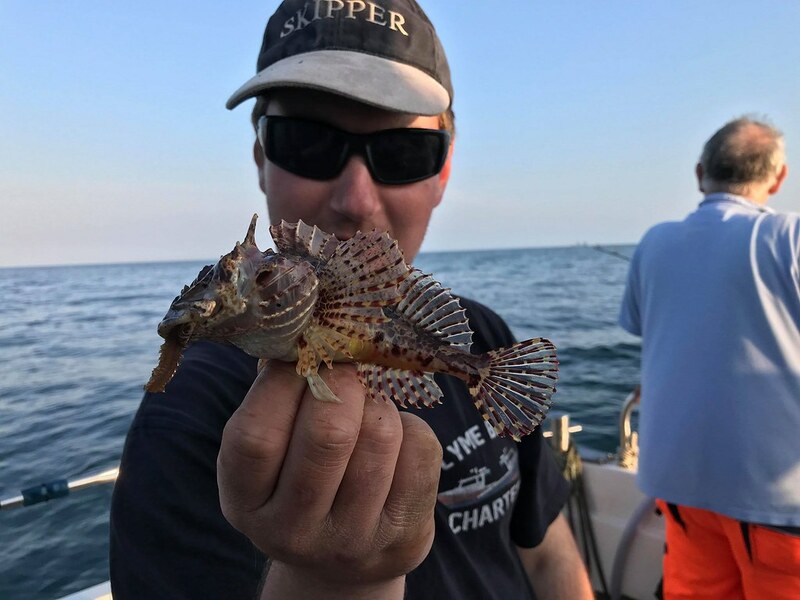 The fish took 20 minutes to play as it continued to swim around the stern of the boat before being safely released back into the sea. 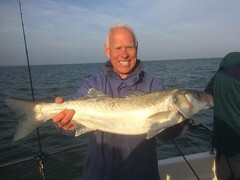 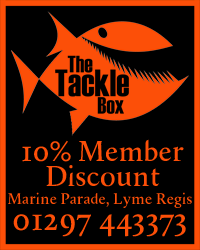 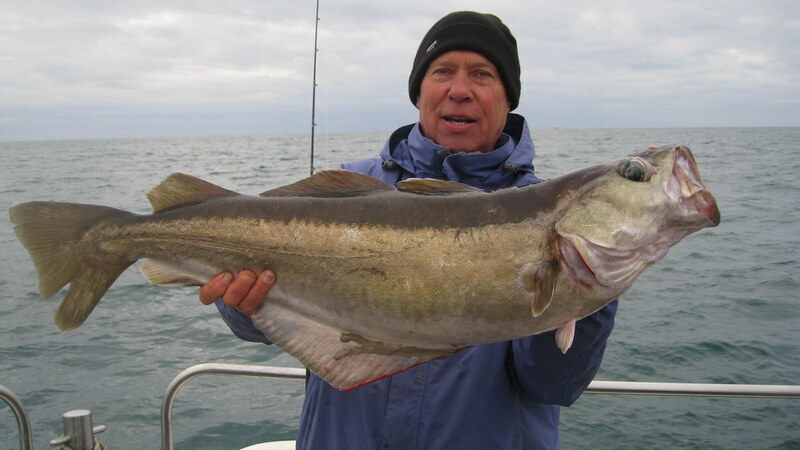 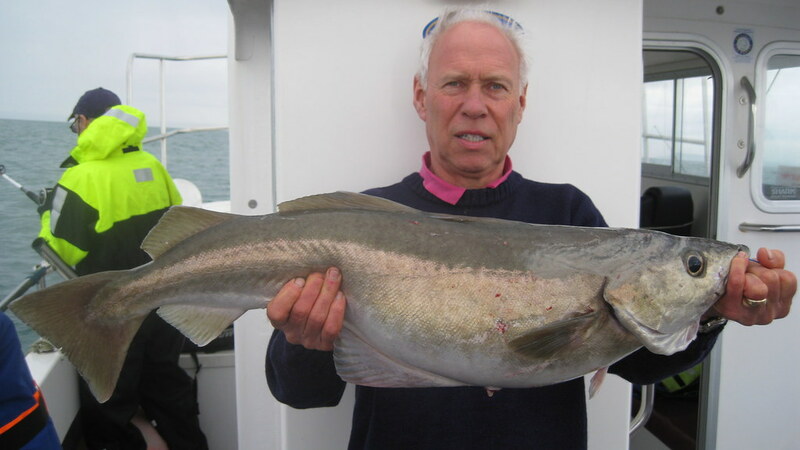 Mike Hansell with the new club record Tope of 25.5lbs caught on Alice Rose (skipper Lewis Hodder) caught in October. 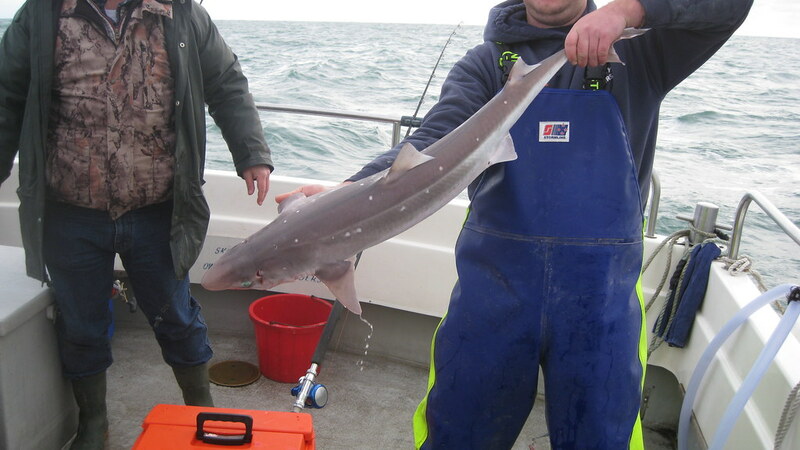 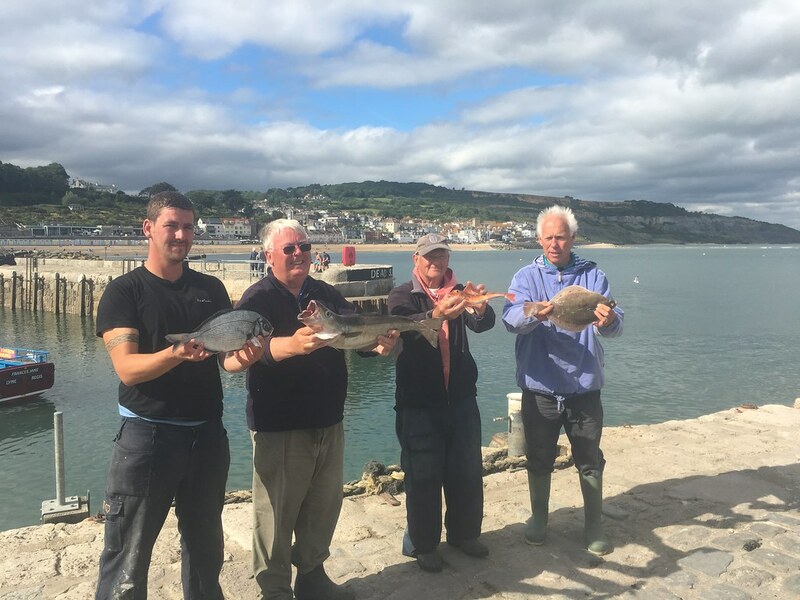 All the Tope were safely released back into the water. 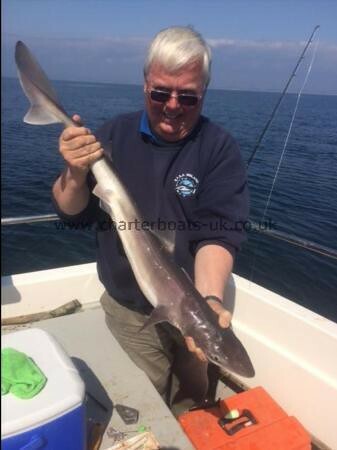 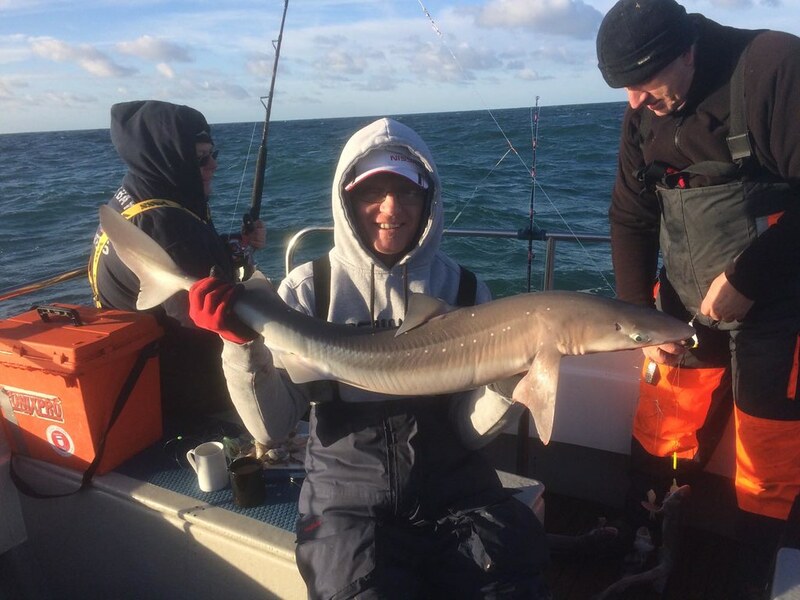 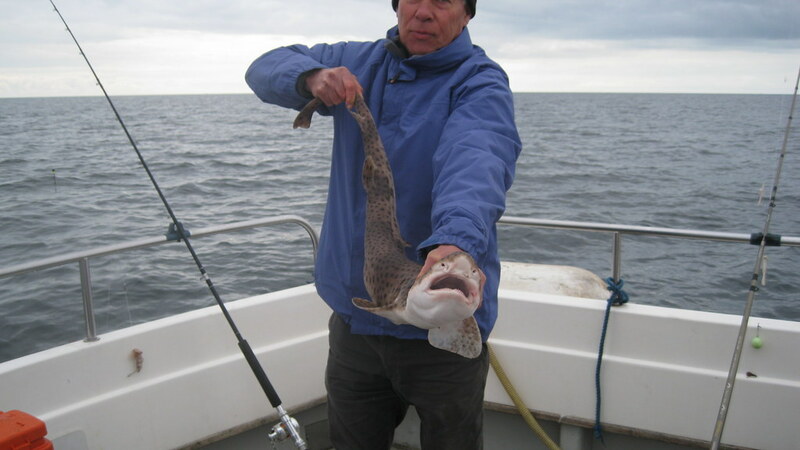 Barry with a personal best 23.5lb Tope caught on Alice Rose (skipper Lewis Hodder) in late October.